On the day I got the call I’d been trying out a couple of recipes: an adaptation of Nuno Mendes’ whole baked Celeriac-from his book Lisboeta and baked parsnips. Both vegetables were covered from head to toe in marmalade-the celeriac in Smoky Seville with Urfa Pepper & Star Anise and the parsnip in Grapefruit & Suze. I’d probably been muttering away to myself all day- baking the celeriac whole seems to really intensify the flavour of anise whilst also bringing out a very gentle sweetness- so lets see what happens when it meets a seville bitterness & says hello to smoke & heat & another anise. Let’s also see how the very sweet caramel & nutty flavour of parsnip will work with a double dose of bitterness. The result, they both worked in very different ways- the seville & celeriac were quite conventional-a bit like of course we go together. Whereas the Parsnip & White Grapefruit were a bit more of a surprise- full on scented fruit & bitterness & caramelised vegetable. A little bit- wow. So how come I was feeling grumpy? Possibly because simultaneously the mutterings were asking but where is this all going? What is the outcome to all this experimenting? A lifetime of it: theatre dance film and now for the last 5 years preserves. The answer: put on your boots & jacket & go for a walk and with one foot out of the door that’s when the phone rang: when I discovered that the Smoky Seville Marmalade which had been the result of trials & experimenting & customer feedback at the market had won a double gold at the World’s Original Marmalade Awards. Wow wow wow. 2016 & I’ve taken up smoking. In the run up to Christmas I borrowed & bought some cookery books from an ever extending wish-list. As the next market would not be taking place until March 2016, there was now time to try out new recipes &techniques & read. For Christmas eve I made Camilla Plum’s Salted & Poached Duck, from her book The Scandinavian Kitchen, which involved making a brine something which I had not done before. It was a bit time consuming but I really enjoy processes like this and the duck was both incredibly tender & tasty. Next time I’ll be quicker. Sally Clarke’s new book 30 Ingredients provided the pudding Campari, Clementine & Vanilla Sorbet with Clementine Zest Madeleines. Clarke’s love of seasonal ingredients together with Tessa Traeger’s photography, especially of the produce, really inspires you to make the recipes. And because the produce is in season & very fresh you can really smell the clementines’ unique scent and appreciate its taste & colour. Furthermore Clarke’s combination of clementine with vanilla sets the familiar & comforting baking associations of vanilla against the sharp but honeyed clementine. Making butter on the other hand, is I’ve discovered, very quick & easy to make & its by- product, buttermilk can be used in numerous ways. This is where, for me, cooking is like hill walking . When walking in the Black Mountains in South Wales I used to look across from a ridge at the far reaching view and think, which hills are those & how do I get over there and where are the paths? Planning walks & pouring over maps is a joy in itself. And a walk begets another walk, just as cooking one recipe leads to another. Reading Katie & Giancarlo Caldesi’s book the Gentle Art of Preserving and its chapter on smoking inspired me to buy a Cameron Stovetop Smoker & to begin hot smoking. Since childhood smoked fish has always been a great favourite but I was also intrigued by chefs who were smoking ricotta & yoghurt & salt & butter. The you-can-do- this-at-home approach jogs you into realising that you don’t have to buy everything. And it is empowering in that very often what you make is really delicious and in the case of yoghurt can last a lot longer than shop bought. You can of course take the further step of creating your own equipment and improvise with say dustbins & biscuit tins to smoke food. Stephen Lamb says in his excellent Curing & Smoking, a River Cottage Handbook, that he inherited his make-do-and-mend attitude from his parents. He deftly turns an old bread bin into a hot-smoker & builds a cold smoker from scratch but doesn’t preach DIY. And this is just as well because Diana Henry in Salt Sugar Smoke says it was the emphasis on constructing equipment which almost put her off smoking. Her solution was to take the affordable & easily available wok and use that to hot smoke. If you read Camilla Plum’s The Scandinavian Kitchen there’s a real sense of curing and especially smoking being ” an exceptionally well-loved part of our cultural heritage”. So much so, many Scandinavians smoke fish at home despite it being readily available and in Plum’s words “mostly do it in primitive fashion-using a battered old pot, a small smoking box and a bonfire. All it takes is heat, sawdust and a closed container” . It’s pretty simple & up to you, is what I gleaned & this fitted well with yet another preserve foray. One of my favourite books is Sarah Freeman’s classic The Best of Modern British Cookery especially the chapter on fish. 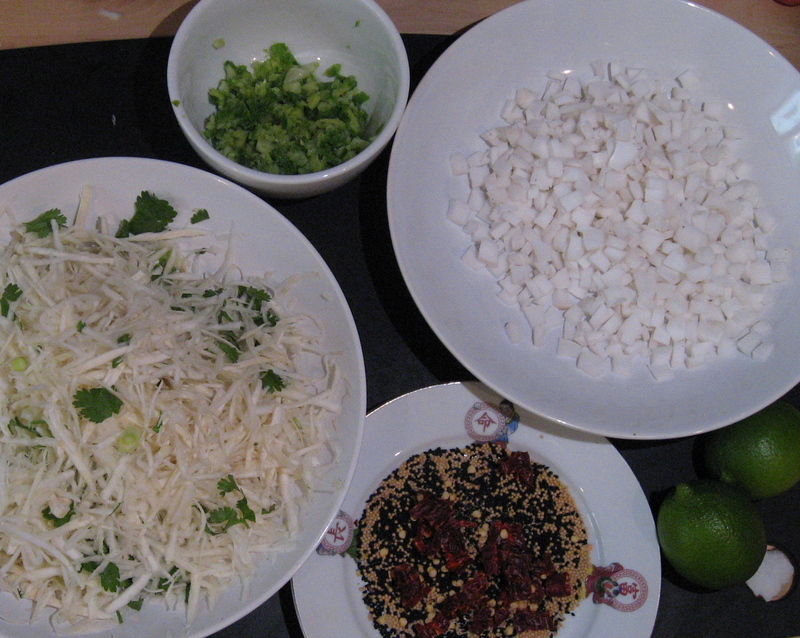 I have made the Salmon Fishcakes with Lime Zest or Lemon Grass which are delicious. They freeze well & thaw quite quickly so it’s a good idea to make a batch. This time I chose Cod Fish-Cakes & smoked some cod which is very straight forward and combined it with fresh cod and a Lime & Parsley sauce. Combining fresh and smoked cod gives the fish-cake a real subtlety and the soft whiteness of the fish and the crispy golden sourdough breadcrumbs is a visual treat. As I had also recently made Potted Brown Shrimps for the first time, it was a short step to imagining that smoked mussels could also be potted & be equally tasty. I cooked the mussels first in white wine and then smoked them for around 4 minutes. They were soft & smoky and worked well potted but I would like to try them in Kedgeree. Steven Lamb Pine-smokes mussels using a french technique éclade de moules. Obviously there is tremendous scope for the materials you chose to smoke the produce with. At this point in time I have been smoking with oak and hickory -which came with the smoker. But it is something I hope to look into, as is the world of cures&rubs. And dreaming of a cold- smoker shed on the allotment. Early evening is a great time to go to my local supermarket for food bargains especially fish. This time I bought & smoked trout fillets and adapted Sarah Freeman’s Smoked Cod Pâté. It’s both delicate & filling. The most ambitious dish I have made is Sally Clarke’s Smoked Haddock with Leek Pasty. Hot smoking the haddock, like the cod, is very straight forward. The recipe involves separate stages and the filling is left in the fridge for 24 hours. But don’t let this put you off as the outcome is pure comfort & joy. I enjoyed the process of infusing the milk with bay leaves & pepper & herbs, then after it had cooled adding the haddock which then infuses the milk further, with it’s smokiness. The milk once strained is then used to make a white sauce which the fish & leeks & celery are added to & which becomes the filling. I served the pasty with a crunchy green salad with a sharp olive oil/lemon juice dressing. The pork worked very well smoked as did the potatoes. It was a real effort not to eat the pork there&then as it was so tender&tasty. But I decided to make a soup and use the stock from Camilla Plum’s Poached Duck. I added celery leeks dill broccoli and unsmoked potatoes. It began as a hearty soup but as the pork & potatoes infused it with their smokiness, over the next few days it became rich & interesting. Smoked Duck with Sloe Marmalade & English Apple. The next stage was to begin to combine the foods I was smoking with my own preserves. A Sloe marmalade I had made for the Frome Independent Christmas market could potentially be a delicious accompaniment to smoked duck. 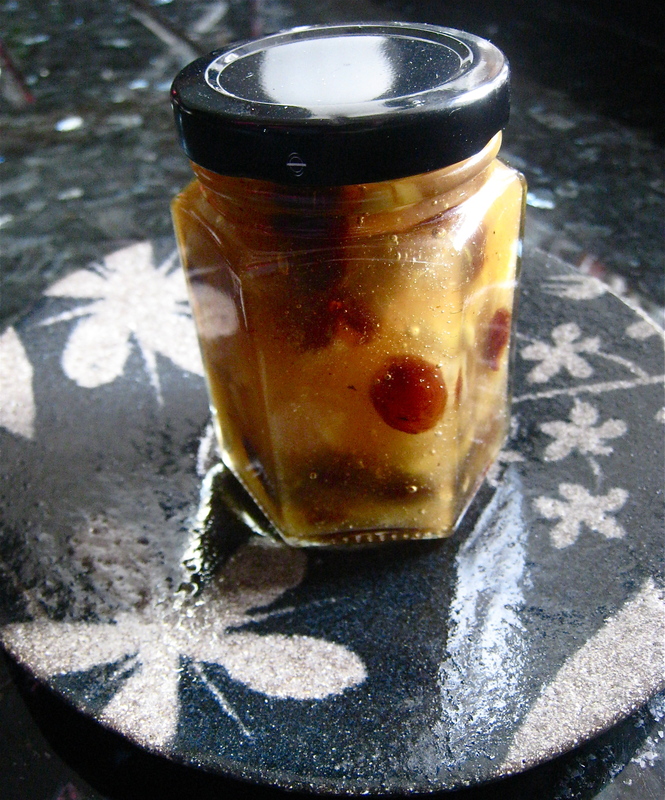 And it was & I’m going to carry on experimenting with smoking & preserves & try & write these forays up more quickly! And for the first time I’ve got a recipe- Grub Street Publishing has very kindly agreed to let me include the late Sarah Freeman’s recipe for the Cod fishcakes from her book The Best of Modern British Cookery. It is sadly out of print but not difficult to find. These are light, fresh tasting & suitably economic: 350 g/12 oz fish will serve 4. 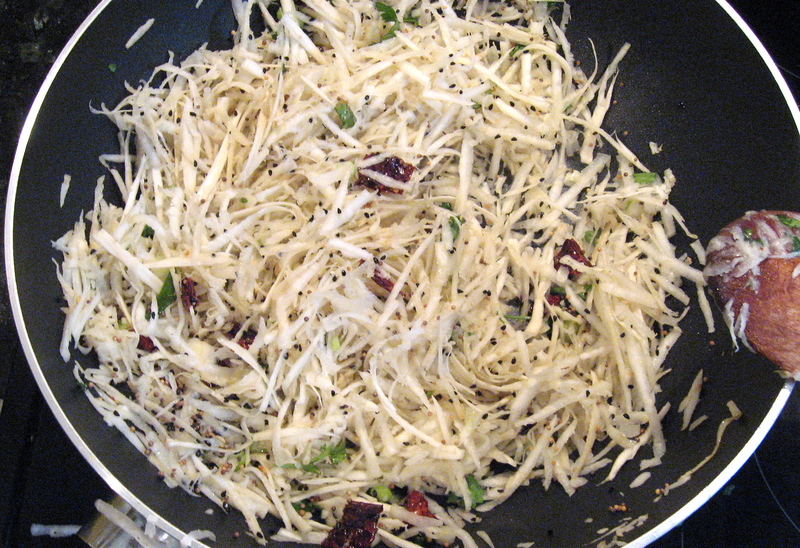 The sauce, which includes garlic, is very sharp, adding zest in much the same way as a hot chutney. The flavour of the cakes improves perceptibly if you mix them a day in advance. As with salmon fish-cakes I suggest baking both the fish and the potato: the fish should be cooked lightly & carefully drained of cooking- liquor before being mashed. Serve alone or with new potatoes & peas & broccoli. Set the oven to 200 C, 400F, Gas Mark 6. Wash the potato & bake for 60-70 minutes, until soft: leave until cool enough to skin: peel & thoroughly mash. If necessary, skin the cod: starting at the thickest corner, pull the skin gently & ease it off with a sharp knife. Season the smoked cod fairly generously with pepper & the fresh cod lightly with salt & moderately with pepper. Wrap both together in a parcel of cooking foil & bake while the potato is in the oven for 10-12 minutes or until the fish flakes easily with a fork & is just, but only just, pale & opaque all through. If you are going to hot smoke the cod I’d suggest using oak & keep a careful eye on it as it’s important not to overcook it. Freeman’s description above is helpful. The skin will come off very easily as it’s cooling. Season as above. Trim the ends of the parsley stems: wash & very thoroughly blot the parsley dry & chop finely. Peel & chop the onion as finely as possible: coarsely crush the peppercorns. Squeeze 2 tsps of lime juice. Mix the parsley, onion, crushed pepper, & ¾ tsp of salt with the potato Drain the fish, flake, & add to the potato with the lime juice: mash in gently. Form the mixture into flat cakes: if you are making them in advance, cover & store in the fridge. Finely grate the bread into breadcrumbs; discarding any outsize pieces. If using a food processor cut the bread into small cubes as this gives a more even result. To dry breadcrumbs, spread the fresh crumbs to a 0.5cm/¼in thickness onto a baking tray and place into a low oven for about 20-30 minutes, stirring the crumbs gently halfway through cooking, until lightly golden-brown. Allow to cool. Set the grill to medium, line a shallow baking tray with cooking foil, & spread with the oil. Sprinkle the flour over a plate: season moderately with salt & pepper. Break the egg into a bowl or saucer, beat until homogenous, & season similarly. Spread the breadcrumbs over another plate. Coat the cakes first with the flour, then with the egg, then crumbs, making sure that each is completely covered & shaking off any surplus. Place on the baking tray, turn so that each side is coated with oil & grill for 5-6 minutes, turn & grill for another 2 minutes. Serve at once. 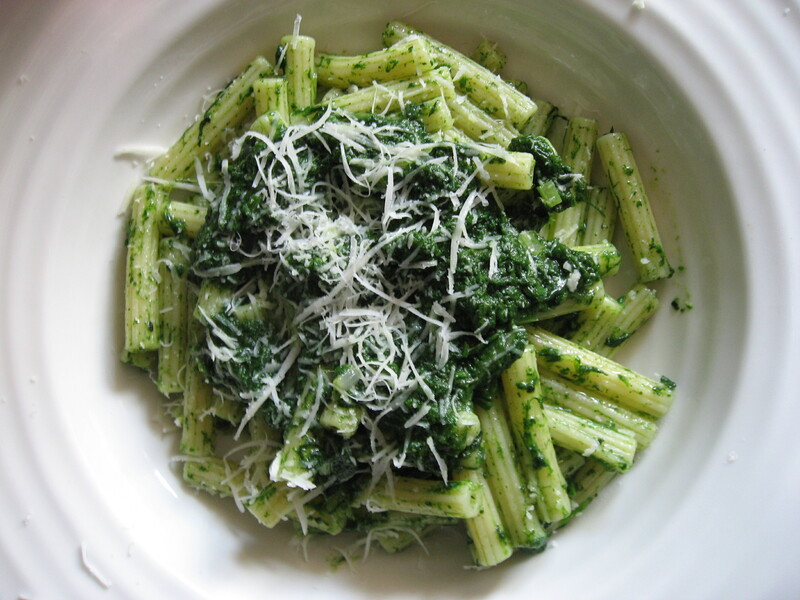 This only takes a few minutes to prepare, although the parsley needs fairly energetic crushing. It can be made some hours in advance but preferably not the previous day. 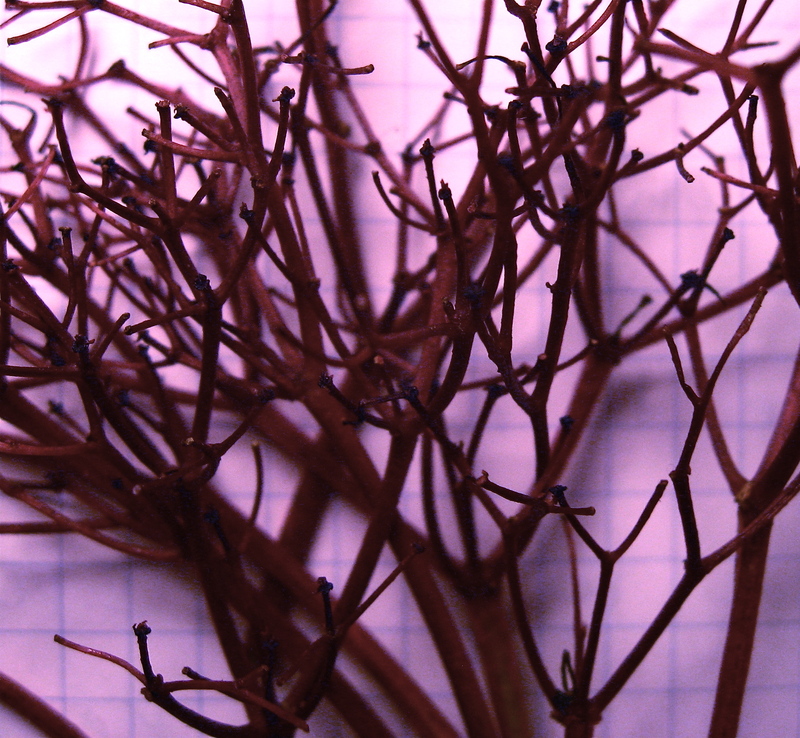 Trim the ends of the parsley stems: wash & blot the parsley dry ( it’s essential that it should be really dry). Chop finely. Peel, slice, & crush the garlic in a mortar. Add the parsley and pound to a fine, dark green paste. Squeeze 2 tsps of lime juice & add with the sugar, pepper, ¼ tsp salt & the oil: mix thoroughly. I made lacto-fermented carrots to accompany the fishcakes & treat myself to the heritage varieties: I especially like the long & tapered Golden variety, mixed in with the orange Sweet Spear. 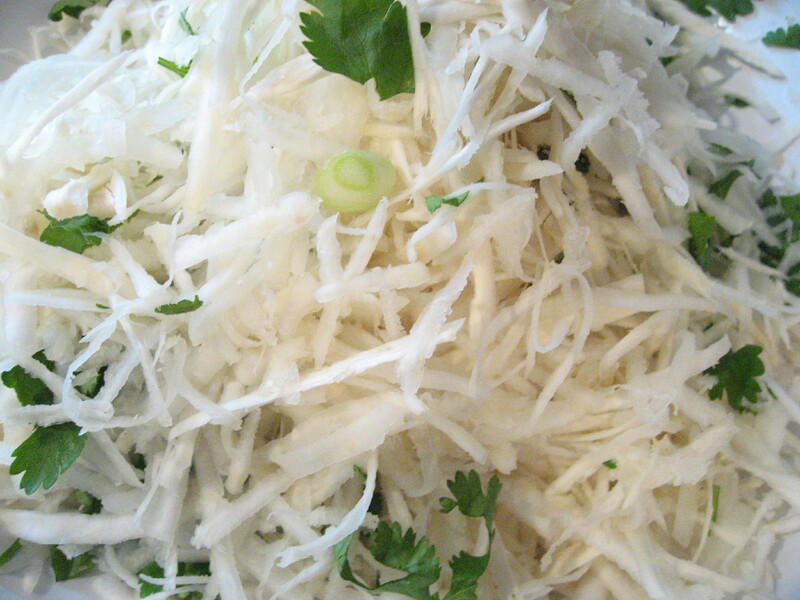 Fermented vegetables are great mixed in with other raw vegetables in a slaw. The first link is to an early Sandor Katz video talking about the health benefits of lacto-fermented vegetables & demonstrates just how easy this process is. He has made more recent videos- but this is the one I saw when I first learned this process and he now has another book which is a really in depth look at fermentation. 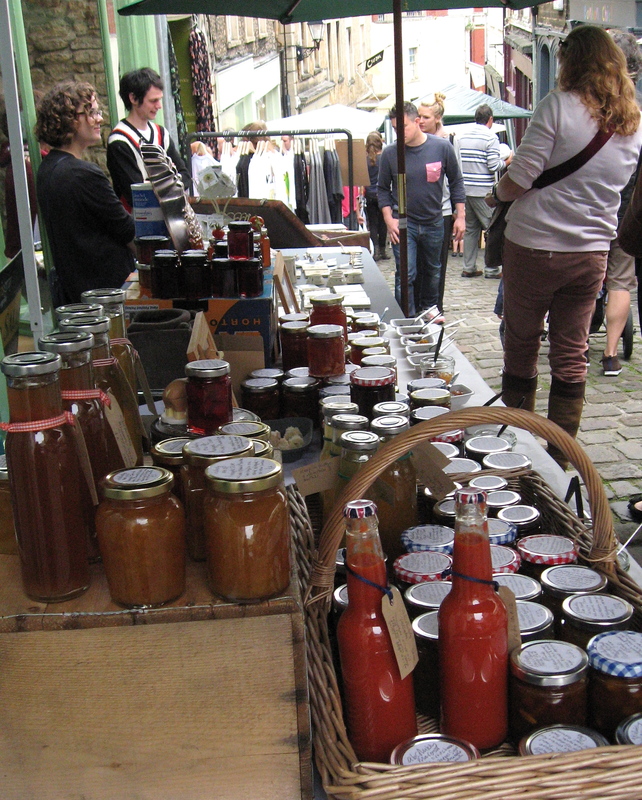 Very recently The Food Programme BBC Radio 4, revisited the subject of fermentation. PS It’s Monday 11th April & it’s pouring with rain so I thought I’d quickly add in this delicious apéritif- Brandade with Charred Tomato Jam which I made at the week-end. In fact I had this for supper: big slices of Hobbs House Sourdough, a crispy sharp salad of endive & watercress and a very cold glass of Orvieto. The recipe is from Duck & Waffle by Dan Doherty-please see The Jam Library. 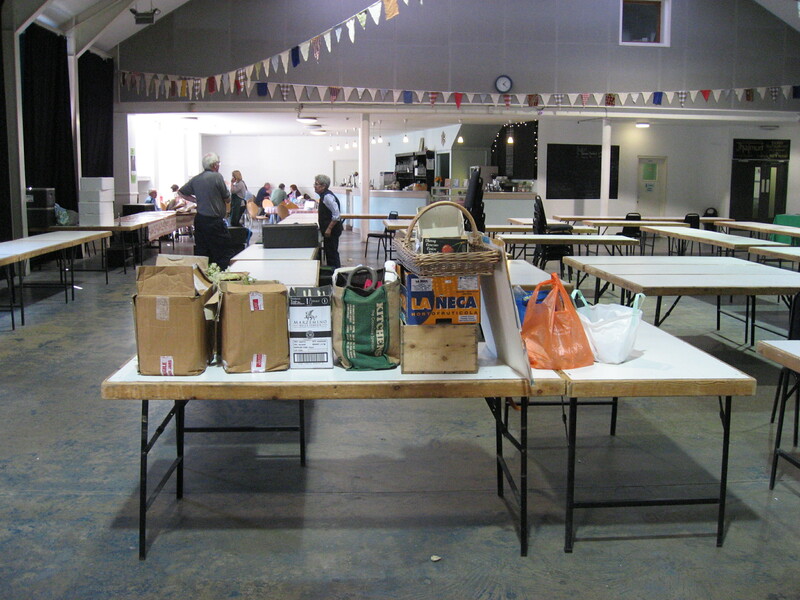 PPS 26th April: 5 days away from the May market & things are a bit overwhelming: a combination of too many ideas and too much still to be do & not enough time, never enough time. In the face of this I am adding on again to this post instead of beginning a new one. I will start the new one here, casually. Practice it here. As with all things which are idea led, who knows in which order? Especially what came first? To establish this means looking in note books and digressing, like now. So instead I’ll say I smoked some seville peel, then some blood orange, then I made a smoky marmalade which customers, at last months market, liked and bought. There were typically, 2 versions. One was very smoky and the other sweet with perfume from star anise & caramel from Ximenez vinegar. 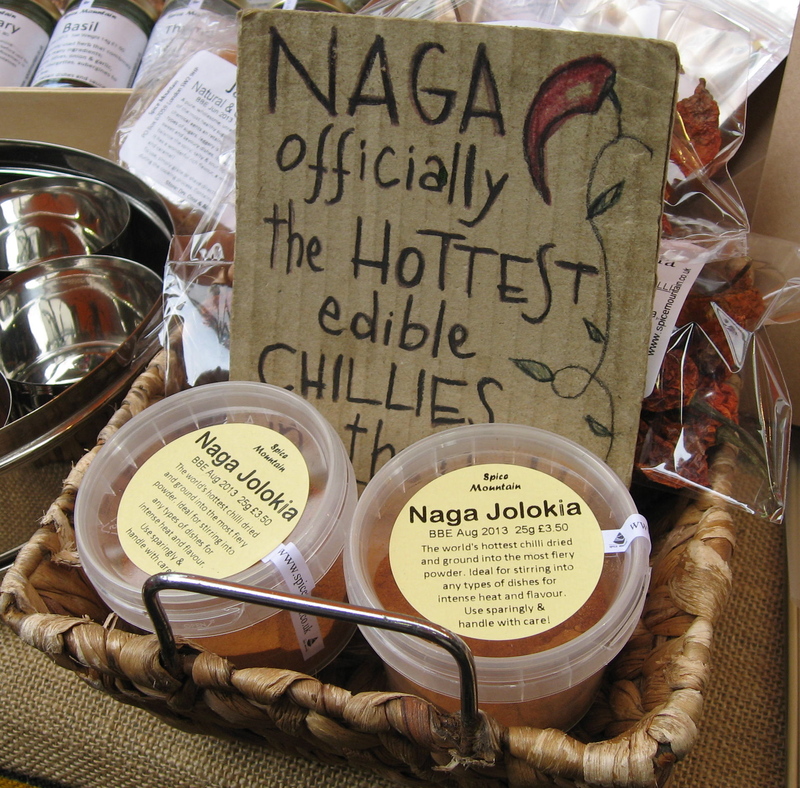 There was also added smokiness & heat from Urfa pepper which up until now has never worked in any preserve I’ve made. I’d almost given up. Now I am remembering the order: originally I brined, marinated & smoked some chicken, which in turn inspired the marmalade. Salted & hickory smoked chicken with Ippolito blood orange, sherry vinegar & Urfa pepper. As blood oranges are now not in the supermarket I decided to try both the smoky marmalade & the dish with White Grapefruit which are readily available. Since starting to think more and more about including recipes on the blog I am much more aware of using ingredients which are easily available. At the same time I love discovering new foods. The grapefruit worked just as well as the blood orange and is intensely fruity with a fresh scent. It’s made me want to go and seek out the blossom and see what it smells like & looks like. 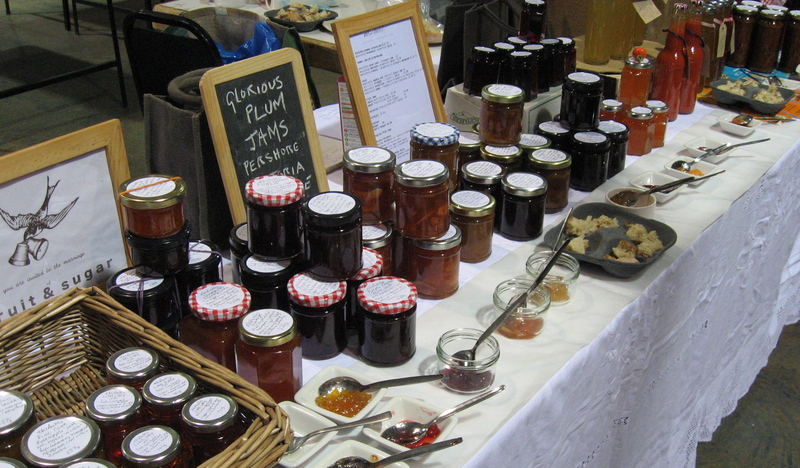 The marmalade needs more work-more trials and some feedback from customers would be helpful. At the same time another plan was evolving: as the initial dish had several steps and is made over a 2 day period, is slow in a sense. I wondered if it was possible to recreate some of these flavours in a marmalade, which could then be used as a glaze. Would it be possible, in other words, to recreate the slow dish more quickly and easily. As I looked up recipes I saw that an overnight marinade with a marmalade could be quicker, and another recipe with rich citrus flavours could be quickest if I tried it without marinating. Not a race, another experiment. Anyway I’d better stop & come back to this & leave with some images of the chicken dishes made with the grapefruit marmalade. It’s snowing. Quickest has been adapted from Bourbon & Marmalade-glazed drumsticks-Diana Henry A Bird in the Hand. Quicker has been adapted from Molly O’ Neill’s Grilled Chicken with Grapefruit Mustard. Recipes soon. 27th April- Congratulations to Diana Henry who has won a James Beard award for her book A Bird in the Hand. Ideas are quite fragile when they are first being tried out. They can be subject to self doubt & criticism and of course once begun, they then create more work which needs more energy and faith to carry out. When I read Kathleen Jamies’ Sightlines very recently I was really struck by her ability to make her long held interests and passions: which include her repeat visits to Hebridean Islands and the Hvalsalen, the Whale Hall in the Natural History Museum in Bergen or the memory of working on an archaeological dig as a teenager-into a book. Into a cohesive testimony, in a way, to what ideas can turn into if they are not neglected or abandoned and instead kept very much alive. This woman must be strong I’m thinking, robust and confident. Yet Jamies’ writing can feel very subtle in an ethereal way, there and temptingly not there, light & alive and not weighed down by the obvious. I like the way she safeguards her ideas, developing them and then, critically making them into something. Sightlines is an elliptical collection or record of forays out into the world seemingly separate but very much connected. I’ll start with the Blackberry & Katy Apple Jelly I made 2 days ago and work backwards. 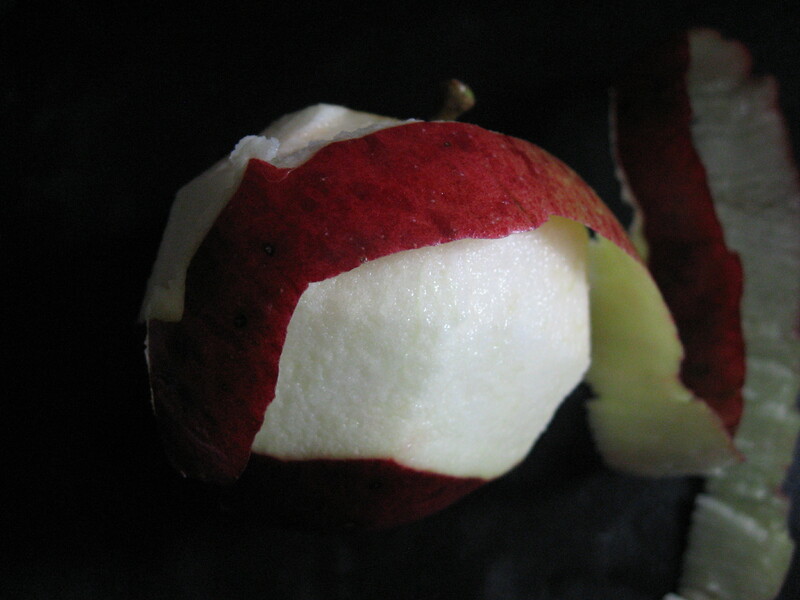 It was made with Katy Apple juice which itself had been made from poaching the apple peelings & core and seeds in water. Almost exactly a year ago, see previous post, I had decided to try cooking the peelings rather than discard them but had not tried them out as pectin. Having recently made Katy Apple & Cherry Plum jam I had some juice set aside and was keen to see if it worked,as in a sense, I would have 2 products from one lot of fruit. A kind of artisan 2 for 1 and one of the things which intrigues me about preserve making- being industrious or is it inventive? Or is it being frugal or just simply putting fruit/food to good use. All these thngs, probably. 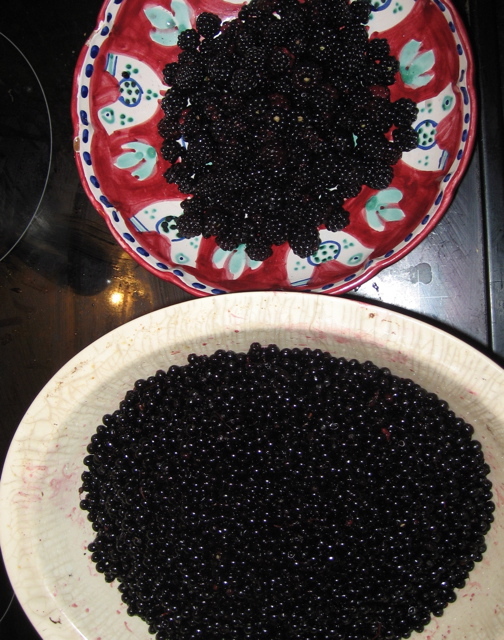 Very simply, I picked Ikg of hedgerow blackberries then poached them in 700 ml of apple juice until soft. I then put them in a jelly bag overnight and in the morning I put the juice in a preserving pan brought it to a boil then added sugar. After 5 minutes I started testing for a set, once reached, I put the jelly into sterilised jars. it produced a very good set- firm but not solid. On a walk the next day I noticed a rosemary bush in flower and it made me think that the addition of just a few rosemary or lavender flowers would give the jelly an added layer. They wouldn’t be visible however as the jelly is very dark. I’m also tempted to add in some horseradish which grows right next to the blackberry hedge. It’s almost a year since I last wrote a new post on the blog. In this time new products have already become customer favourites and ideas which didn’t work, I’ve discovered, take as much time and energy as those which do. Obvious I know, but I am getting better at dealing with disappointment, mainly because I’m no longer taking it so personally- it’s work, which hasn’t worked. Not personal failure. 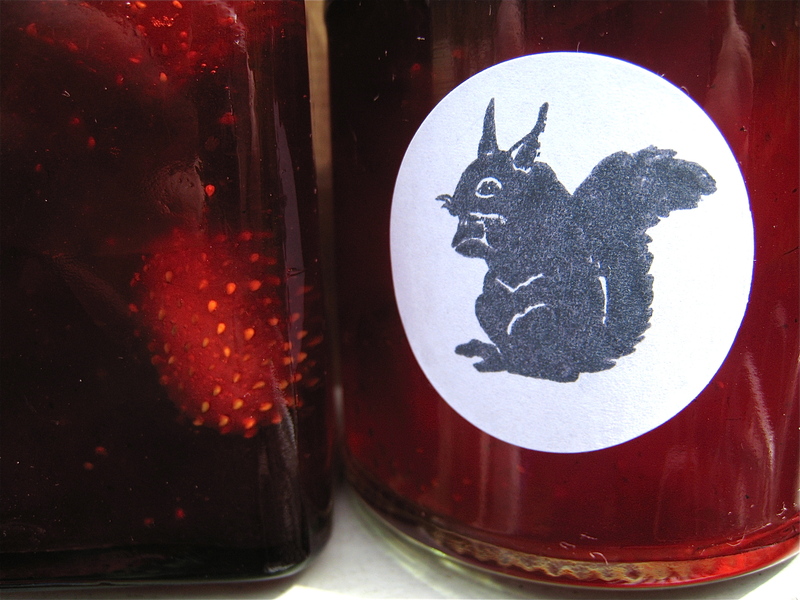 Pragmatism helps: that is, the poetry which drove the idea may now have evaporated leaving the reality of having lost both time and money and being left with piles of washing up & jars of jam which are unsaleable BUT I tell myself “if you are going to try new ideas it’s a risk”. Then I remember a group tutorial at University when a lecturer told one of the students “it’s great that you have so many ideas but you will need plenty of energy to carry them out”. That’s precisely what I loved about group tutorials, the nugget which you take away & keep is spoken indirectly but goes so deep. 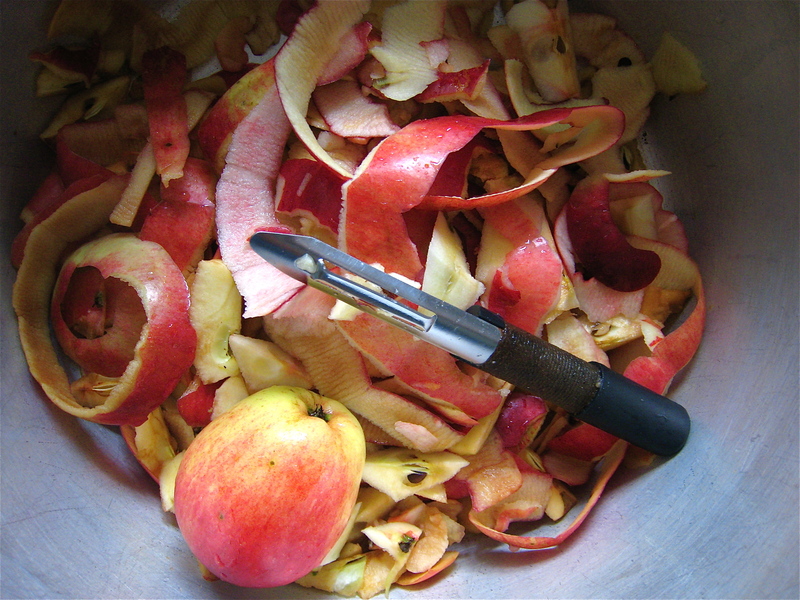 In January I began thinking about tracing some of the fruit I pick-apples, pears, plums & quince back to their blossom. Another idea: but one which has been carried out fairly seamlessly. It has been mainly a question of asking permission if I can visit orchards which are not normally open to the public at blossom time. 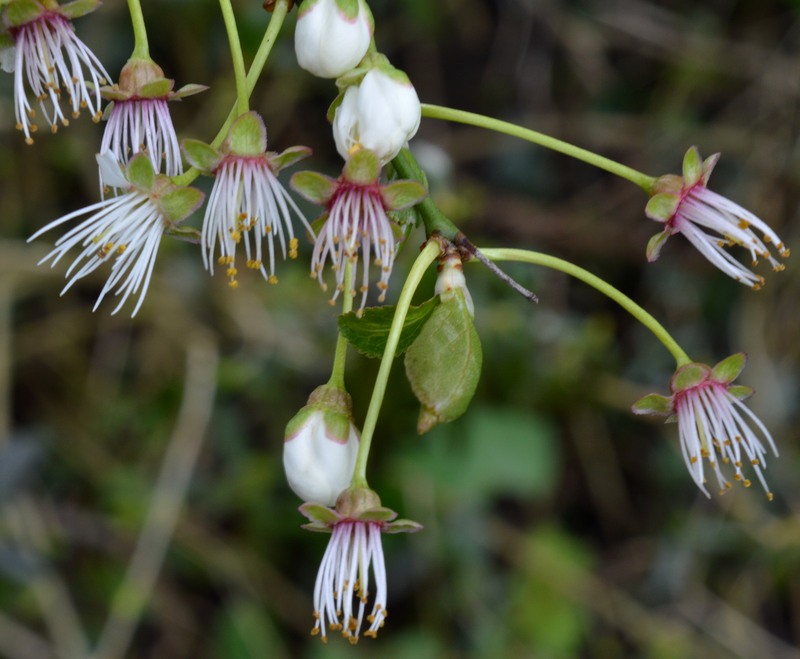 Finding out at what time of year each fruit is in blossom was also important and of course being aware that this is very much dependent on the weather and can vary. I love walking so going to look & see how the cherry plum hedge was developing was both enjoyable and provided a necessary break from Marmalade making & washing up. Finding the first delicate blossom emerging is magical, especially on a cold March day, What draws me in is also the many stages at which blossom can be on one plant-from being tightly curled up in a bud to being deplete of petals, equally beautiful just a very different shape. It’s time to stop now as in 15 minutes time I’ll be on the BBC radio 4 Food programme– a Diana Henry Preserve Special edition-OMG. My day with Diana spent talking about flavour and picking fruit and making Cherry Plum & Katy Apple Jam will be the subject of my next post. It was wonderful. 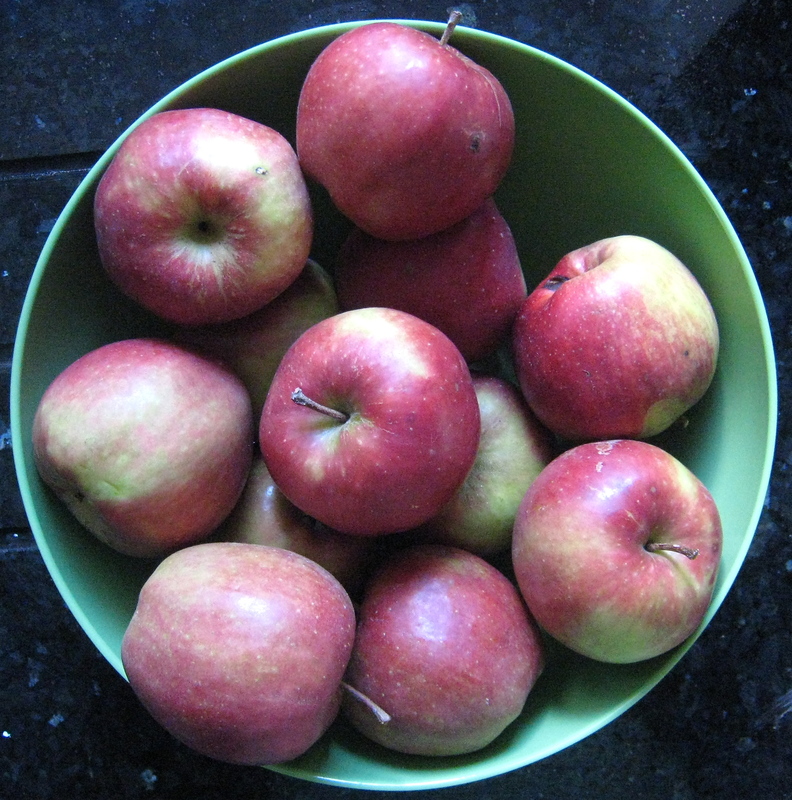 I picked these beautiful Katy apples locally, specifically to make a chutney. They are an early-ish apple and therefore do not keep well. 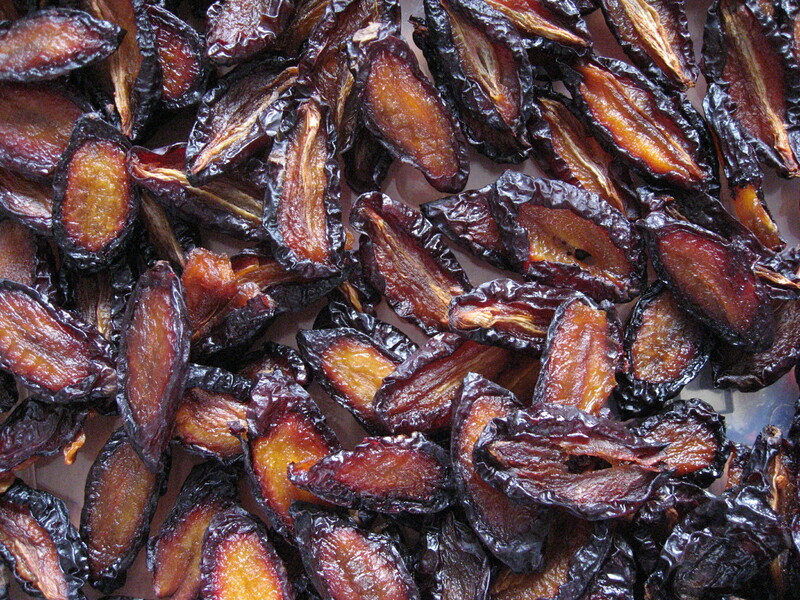 Their shape is long and conical: they’re handsome and are both sweet & sharp & crisp. 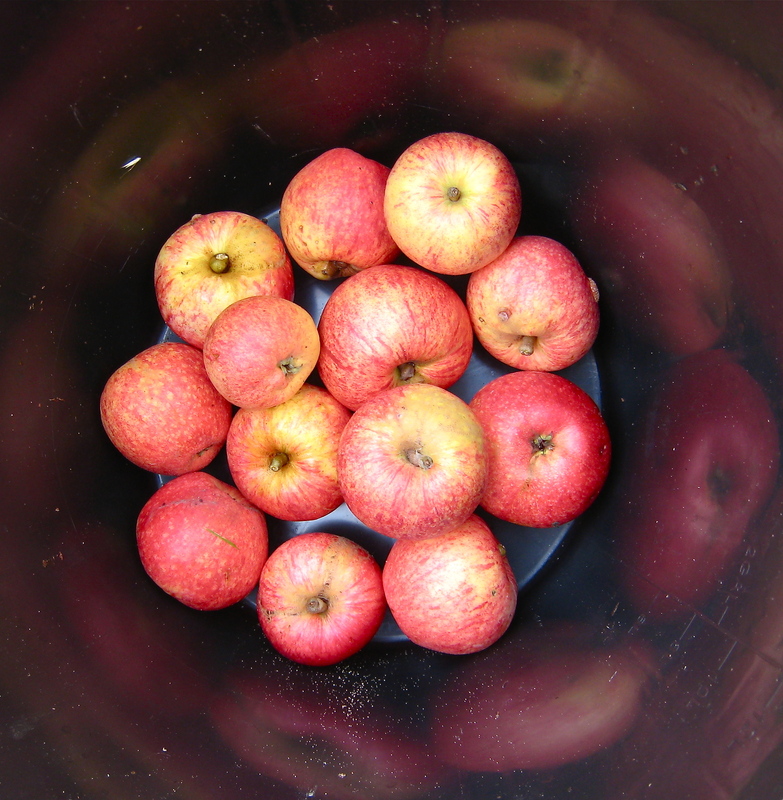 The juice is used here in Somerset commercially in cider making. They are a medium sized apple, so good for prepping. As I peeled the apple I thought it might be interesting to poach the peel, in just enough water to cover and see what happened. The result was a delicious juice, refreshing but not nearly as strong as apple juice from a juicer. It’s a really nice by product basically and could be made into a cordial. I froze some which I’ll use later to poach quince in when making fruit cheese and jelly. 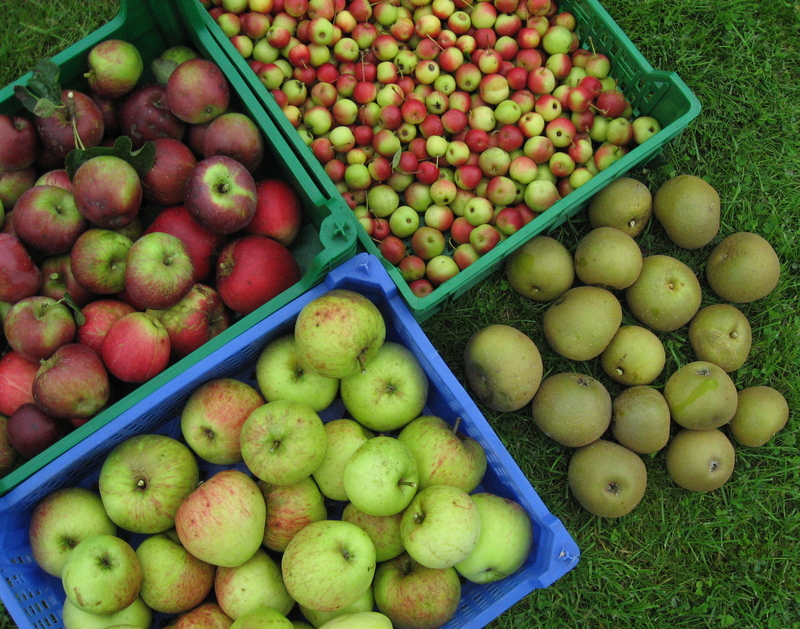 In September I try and go over to West Bradley Orchards in Somerset, the home of Orchard Pig Cider to pick both apples and pears. This year the Jonagold were particularly good: very large apples which are very juicy and sweet with a sharpness and some floral notes. It is a brilliant place to try different varieties of apples, although I think it’s a bit like sampling perfumes – you can’t try too many. 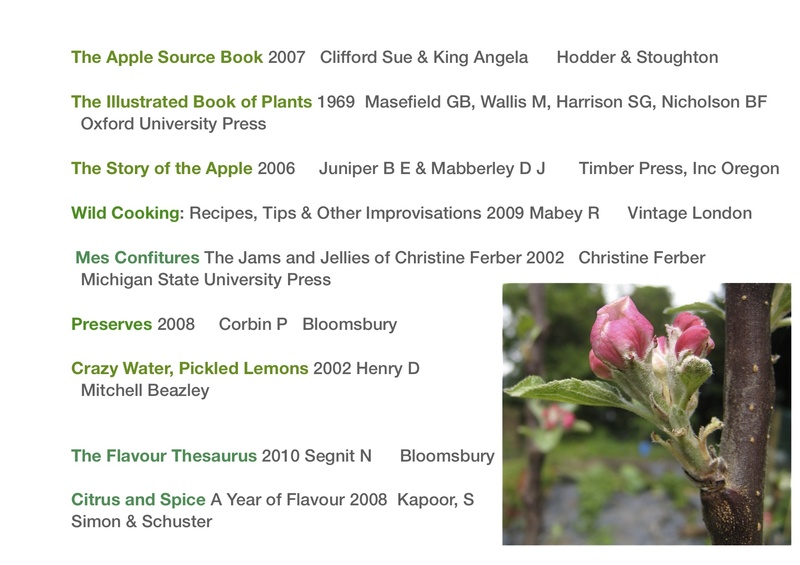 Last year I made an apple jam with Jonagold & local cider & bay leaf but this year I thought I’d start by looking at one of my favourite books Mes Confitures by Christine Ferber. Her recipe Austrian Lady made me think of David Walliams in a Viennese Pastry Shop plus its ingredients – apples, rum soaked raisins and nuts, sounded so delicious. This time as the apple peel mounted up I thought I’d poach them again but this time add in some blackberries. And this time the juice went straight into ice cubes and then into a Gin & Tonic where it swaps some of the bitterness with a sweeter fruity-ness. 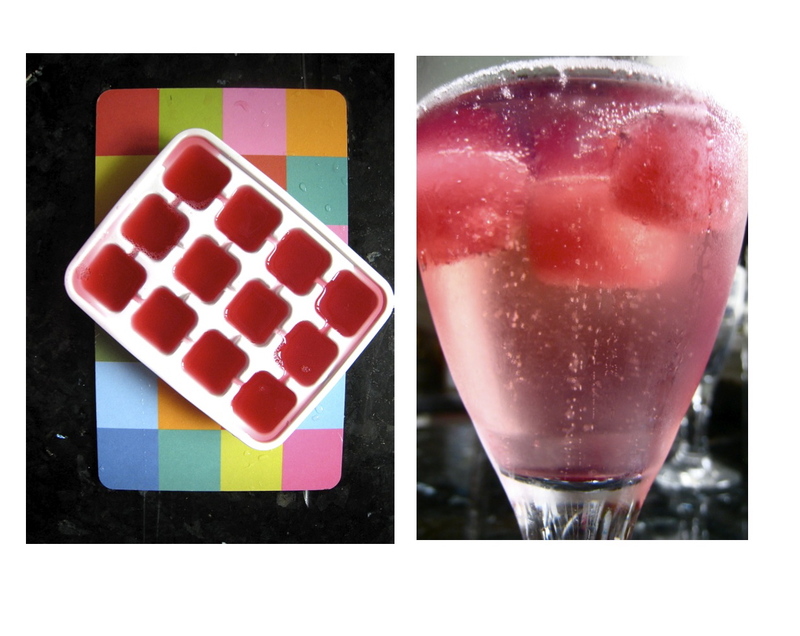 The ice cubes are also really good added into a glass of Fever Few tonic. When making the jam I subsituted walnuts for kentish cobnuts although when fresh English walnuts become available I will make the jam again. 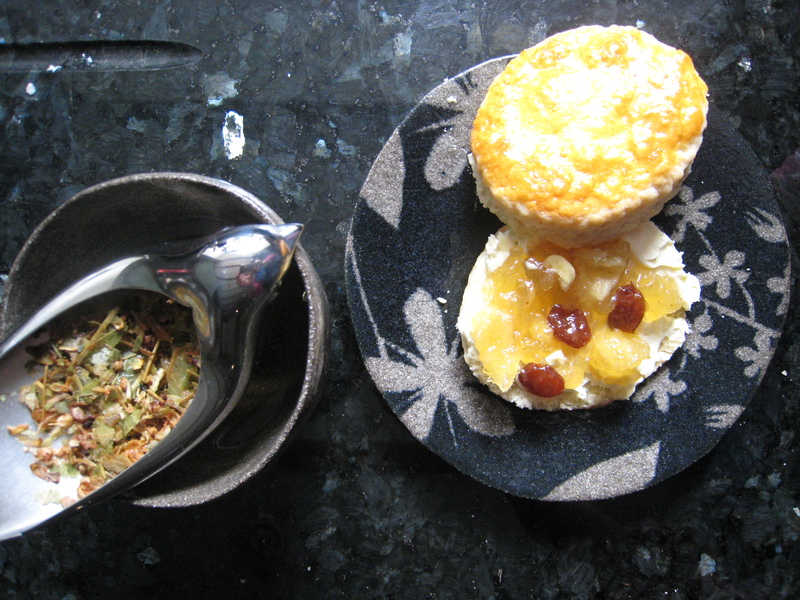 When made, the jam just called out for scones -so I made them, it’s a perfect combination, especially with a linden flower tea. 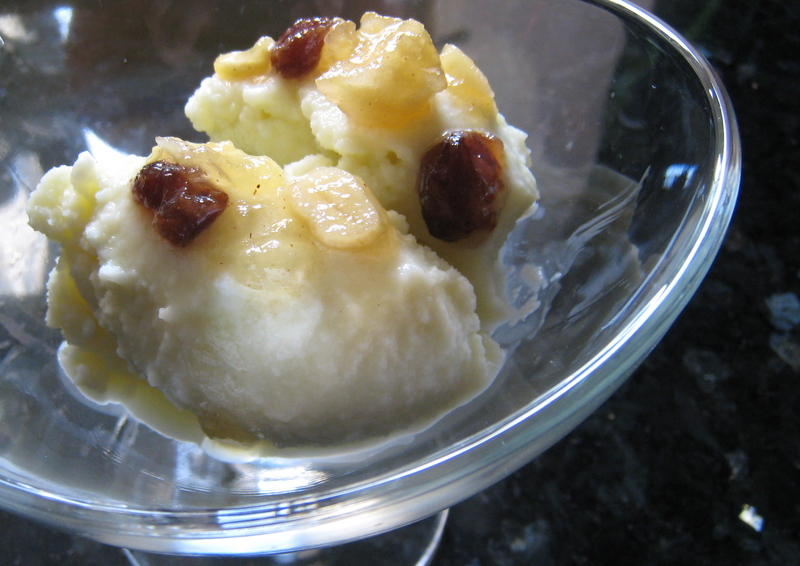 It also called out for ice-cream and the combination of apples and cobnuts reminded me of a Skye Gyngell recipe Apple Ice-cream with Toasted Cobnuts and Caramel sauce, from her book My Favourite Ingredients. The apple ice cream is totally delicious especially if you add a good measure of Somerset Eau de Vie. Honestly, the cobnuts and the raisins in the jam work really well with the ice cream but the apple pieces and puree are one addition too many. What would work better I think, with the jam, would be a plain vanilla ice-cream. I heated 3 tablespoons of the jam with some water so it could be poured over the ice-cream. 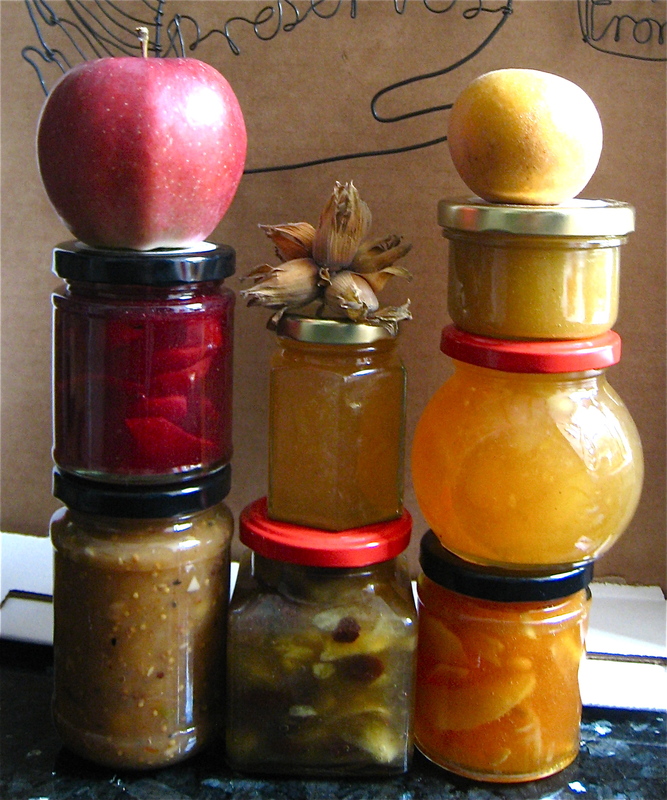 I also made an Orchard Apple Fruit Cheese and a Yellow Pershore Plum with Katy Apple Jam and Cropper Plum with Katy Jam and most recently Lemon Marmalade with Jonagold and Bergamot zest which I had squirreled away in the chest freezer like it was gold dust! 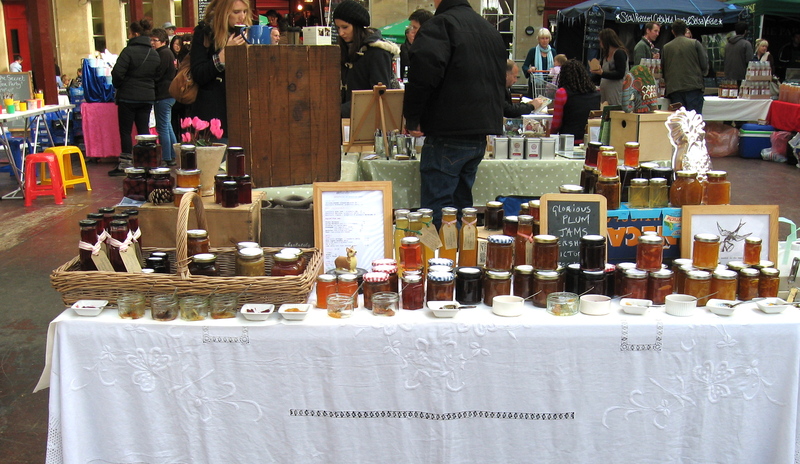 Please see Markets for details of when & where the preserves are for sale. The first jar of jam I ever sold, over three years ago at Midsomer Norton Farmers Market, was Beauty of Bath Apple & Victoria Plum. The person who bought it was very taken by the fact I had used english apples and plums & that the varieties had been identified on the label. The apples were picked in a friends’ garden and they, having only recently moved there, had little idea which variety it was. Being a bit of a detective I set out to find out what it was and emailed Charlton Orchards near Taunton, with some photographs. They very quickly got back to me saying it was the early regional apple, Beauty of Bath and sadly one which is declining in popularity. In terms of prepping, as a small apple, it means more work but its wonderful pink juice, if you make jelly with it, or the fragrance and acidity it brings to a fruit cheese or a jam, make it well worth the effort. 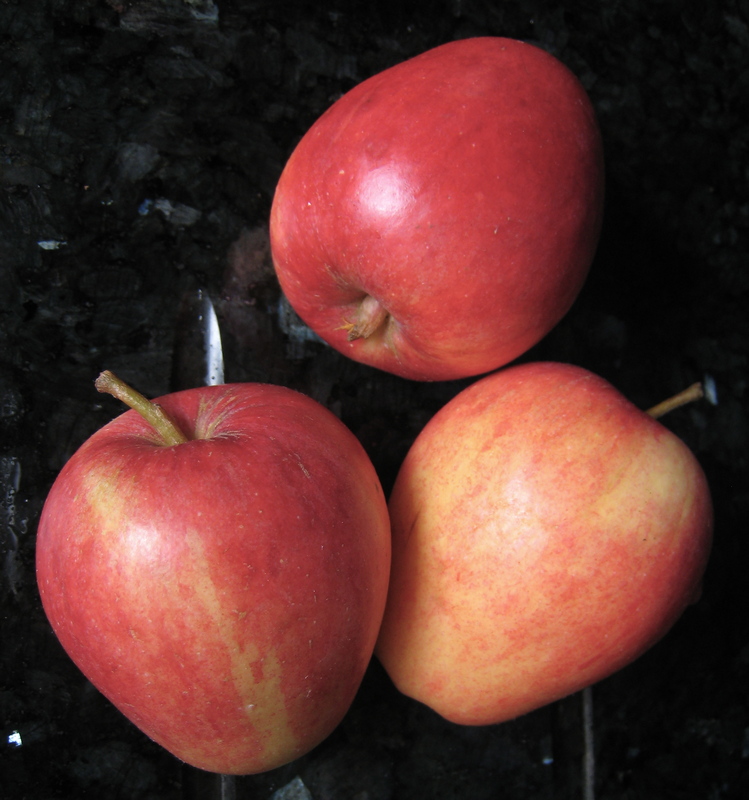 It’s also a very striking apple; its pink verges on the psychedelic, recalling the trippy haze of 60’s California. Hopper Fonda O’Leary. I love having them in the house, looking at them, holding & smelling them & picking them. This is the romantic phase of preserve making: going over to Chosen Hill Farm near Chew Valley lake which is set in very beautiful countryside: fantastic views, birds singing, often the sun shining- a dreamy time-when I can taste the fruit at leisure and come up with flavour combinations. Beauty & the Bucolic. But as Jeanette Winterson warns ” There is always another story. The stories we choose to tell shield the stories we don’t tell, and every word written is a net to catch the word that has escaped.” Behind the romance lies repetitve and menial work and long hours which can lead to illness & making costly mistakes. There is also the unpredictability of both the weather & fruit harvests and rising prices. 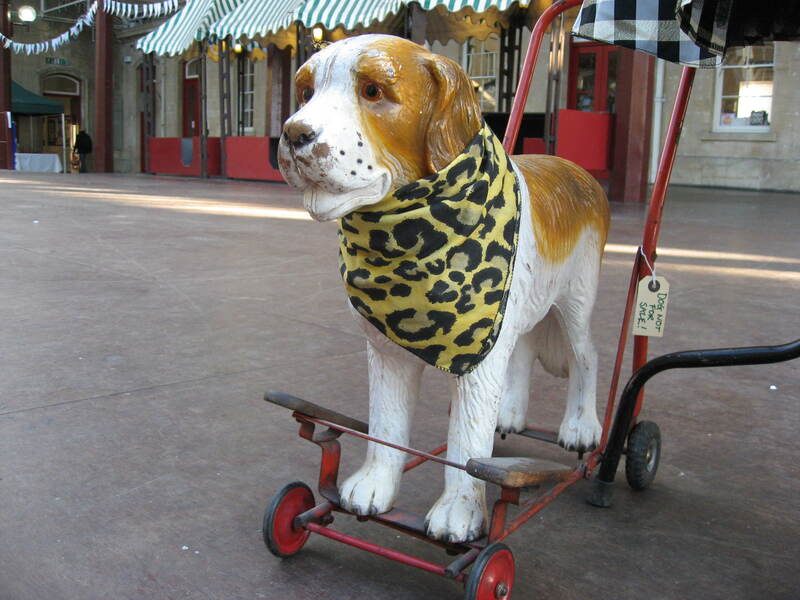 There’s the arbitariness of markets: will the customers arrive and will they buy? The question of provenance is equally poetic and political and lately criminal with the horse meat scandal. But I wonder what lies beneath a desire to trace and to name and in a sense to belong, as in products being local ? Maybe it’s understandable to glamourise or fetishize, that is, to construct a beautiful tapestry for people to admire, which shields the less palatable realities and hides the complex drives and needs of its creators. Where does our love of cooking come from? 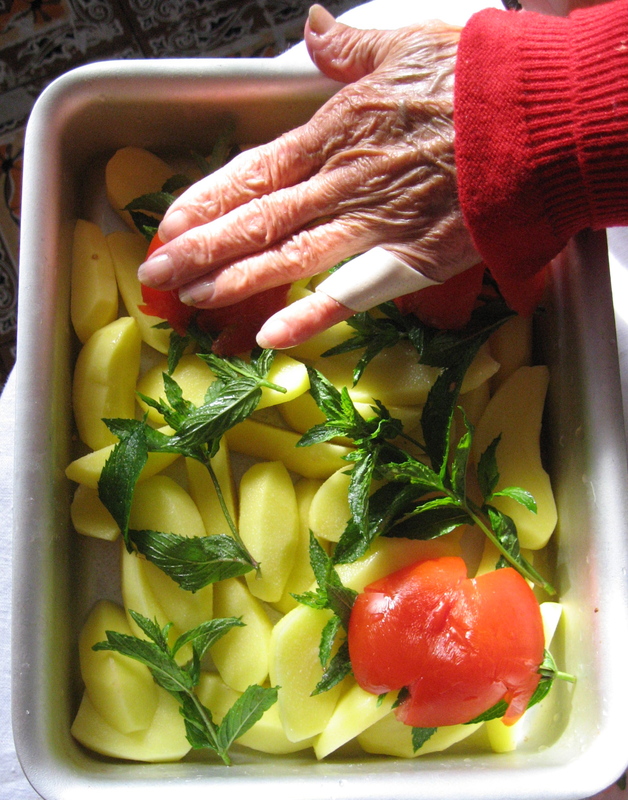 I love my mother’s Italian hands -always cooking- busy & industrious-her curved squat thumbs- peeling garlic/chopping up herbs and vegetables grown in the garden. As a child I helped and watched and ate: spring broccoli barely cooked with some garlic & olive oil salt & lemon remains one of my favourite foods. As she grew older she would keep saying to me how did you learn to cook so well? I don’t understand, where does it come from? I would answer in different ways- your example was inspiring-your Italian food taught me that only a few ingredients well cooked, can be amazing: that less is more. I would say how much I loved the fact she cooked Egyptian food, she was brought up in Alexandria, as well as learning to cook English food from scratch and to bake so well, especially cakes and puddings. And how this amazing cultural mix, in the 50’s & early 60’s, on a secluded farm, shaped my life. But my answers never seemed to satisfy her question, because she kept on asking it over and over again. I told her how travelling and eating out at the many diverse cafes and restaurants in London & reading cookery books, had all taught me a lot about cooking. And then there was the influnce of Turkish & Libyan friends whose food was as delicious as it was interesting. And of course most obviously cooking itself taught me. But still the same question. It started to rankle. Her persistance. My inability to come up with an answer. Now, I started to ask questions. Did my love of cooking have another source? Where did it come from? As an adopted child, an interest in origins is somehow inbuilt. Jeanette Winterson, writes in Why Be Happy When You Could Be Normal? “adoption drops you into the story after it has started. It’s like reading a book with the first few pages missing. It’s like arriving after curtain up. The feeling that something is missing never, ever leaves you.” Neither do the questions which Winterson says for an adopted child “mark the very beginning of our lives”. Could I really have inherited a love of cooking? And who from? Logically, I knew that it was in all the answers I’d given my mother and what I should be doing was trying to find out why, in a sense, she was asking the question in the first place and refusing all the answers. In reality I couldn’t be that objective and instead saw it as a lack of faith and I became defensive. I wanted her to stop, enough. I don’t have the answer. And that’s when she started to talk about the fact she had never taught me how to cook. Italian mothers, she said, teach their daughters to cook. They pass on what they know: their recipes & their skills. 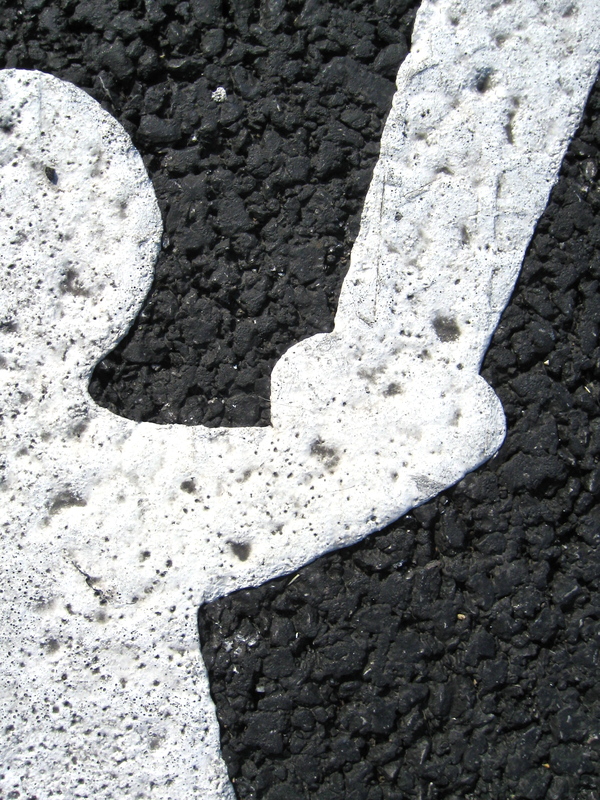 Suddenly my mother’s guilt was palpable and I understood why my answers never satisfied her. 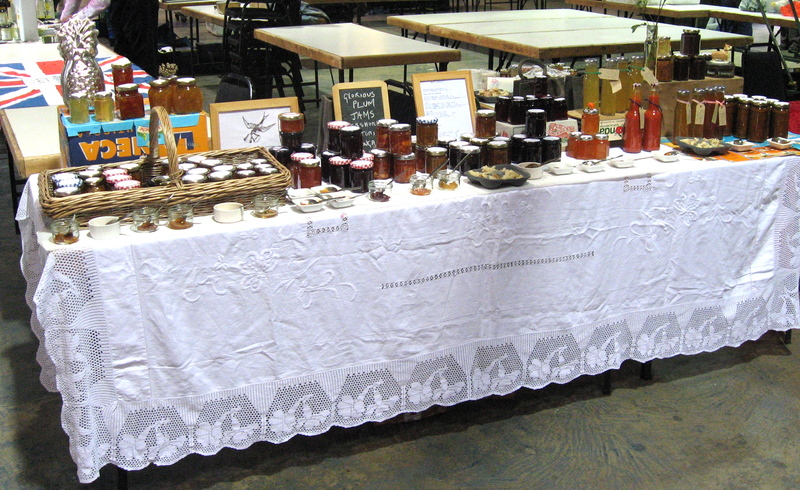 Several years after my mother’s death I have begun making and selling preserves. 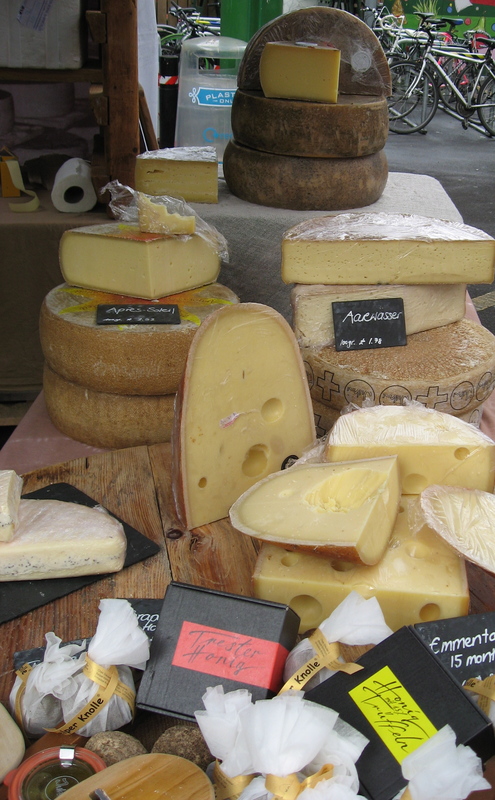 When I go to sell at Frome’s artisan market I take her worn but sharp bone handle knife with me and use it to cut slices of delicious fruit cheese for customers. I miss her terribly. Louise Bourgeois is an artist whose work and writings I regularly re-read and return to. I especially like her early sculptures which she made as a way of exorcising the homesickness she experienced when she moved to New York from France. Over to a local garden where a very kind customer has invited me to pick fruit: Egremont Russett * Spartan * Crab Apple Victoria Plum & the rosehips from Rosa Rugosa. Back at home I taste everything and decide to make a jam which combines the Victorias and the Spartans. The Spartans have a beautiful white flesh which has a citrus sharpness and it’s a juicy apple. 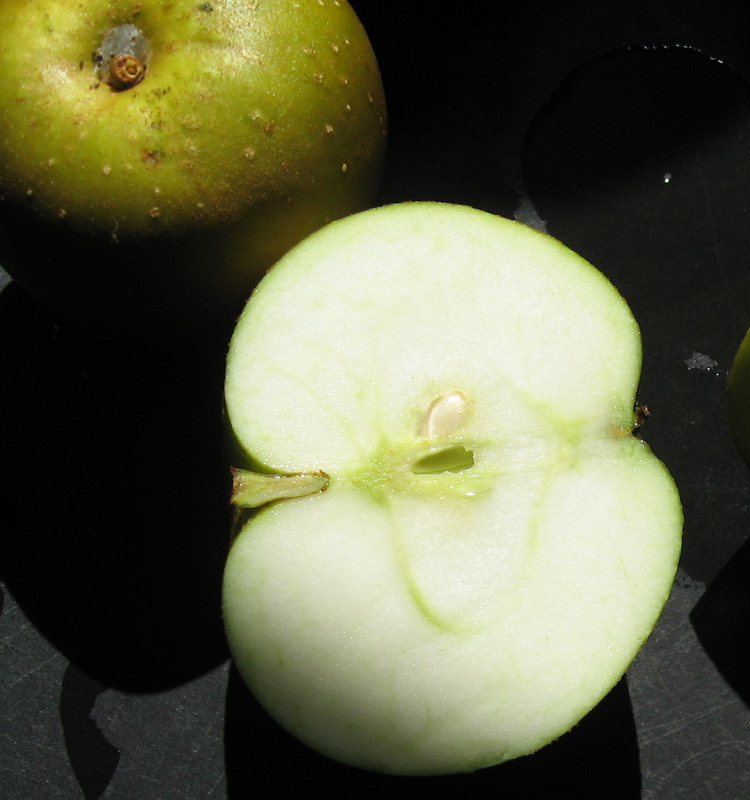 Unlike the Egremont where the flesh seems to have absorbed all the juice, a bit like blotting paper, leaving a very compact apple which resembles an unripe pear in texture but has quite sharp notes. It is supposed to have a nutty flavour but I can’t detect this at all: maybe it’ll appear later, at the cooking or cooked stage. It’s firmness could mean it’s a good candidate for chutney, unfortunately I don’t have enough to make a chutney, so I’ll try it as a fruit cheese instead & that way I might get some juice which I can make into either a jelly or keep as pectin. However when I cook it there’s very little juice but the pulp is very dense so will hopefully make a good fruit cheese. 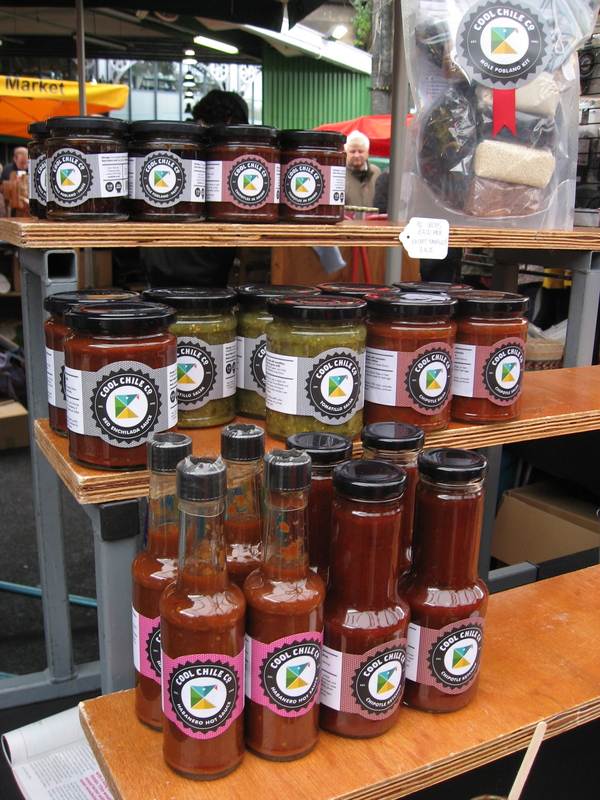 The produce for the Frome Artisan September market is coming along well and the Pershore Jams will make a great addition. I only added sugar and a little lemon juice to the Purple Pershores as they have such a pure and intense taste I think they can stand on their own. On the other hand I think I can take more risks with the the Yellow Pershores mainly because I have so few of them and they need the addition of another fruit. Hidden away in the chest freezer are a small bag of treasured japonicas which are waiting for just this kind of experiment, as is a bottle of Viognier. Oh it’s exciting & scary in equal measures. It’s not like I can nip-down-the-road and get some more Pershores. Again I follow CF’S recipe for plum & apple jam with the addition of wine. Interestingly wine is added on the day of cooking and is not included in the maceration process. When it is cooked I am not at all sure, it feels like the japonicas, a robust little fruit and the wine, together, have overwhelmed the very subtle pershores. Oh. I just hope it will settle and I’ll take it to market and see what the customers say – a different point of view. 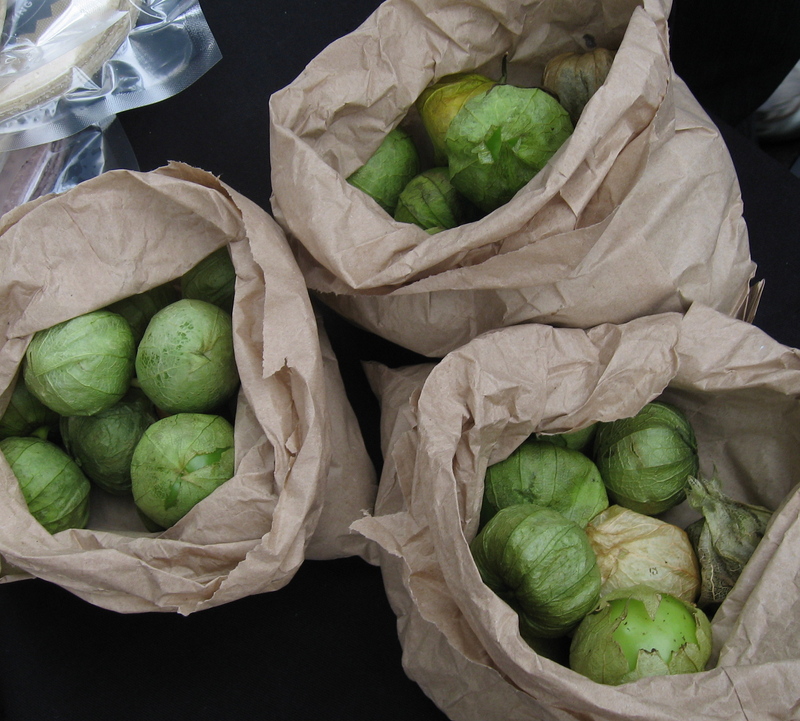 At the market the Pershores go well and there is interest in the Yellow Pershore, new and old customers love the taste, it’s complexity and the fact it’s very unusual. The yellow pershore is now holding its own and giving the japonica’s smoky lime-ness and the wine’s flowery sharpness a very definite undertow of plums. My neighbours are Alice and the lovely Pete from I Dress Myself, amazingly it doesn’t rain-hail or thunder to-day! Next Saturday I am having a stall at Frome Farmers Market in the Cheese & Grain and I want to make some greengage jam for that. I have been out and about foraging and have collected some elder and blackberries so I look in Mes Confitures and see there is a recipe for a plum jam with elderberries: I take this recipe and add blackberries. 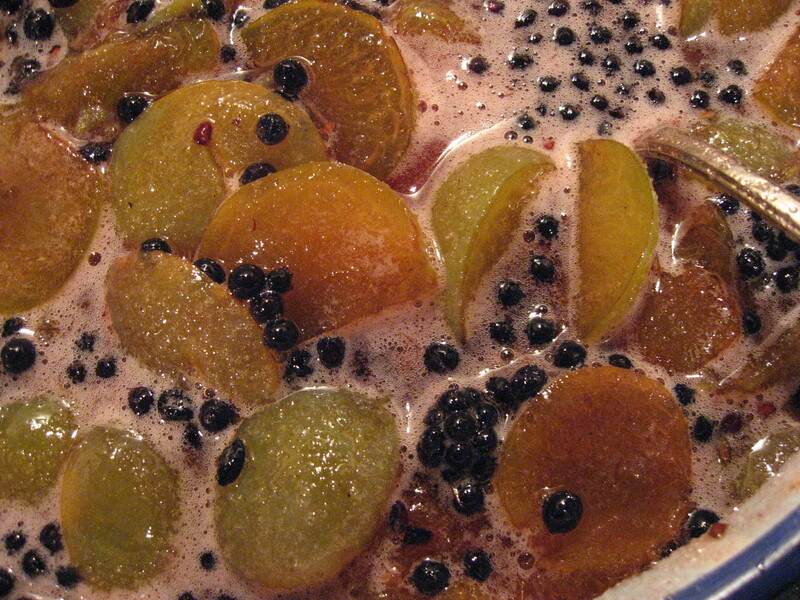 Greengages with elder and blackberries macerating in lemon juice and sugar. Whilst cooking the jam I am interested in the fact that it only takes a handful of black and elderberries to not only colour the jam immediately but to also impart the most delicious scent and taste of berries. Tony drops by unexpectedly with a very big bag of apples which is fantastic, they will now be making their way into a jam with the rest of the greengages. Below Frome Farmers Market at the Cheese & Grain, Frome. After the Farmers Market I am invited by two of my first ever customers, Michael & Ash to go to their garden and pick some damsons- they say it’s a poor crop compared to last year but there’s enough to make some puree and juice which I’ll freeze and use later as fruit cheese and jelly. They’ve also got a handful of japonicas which I’m very grateful for. As the chutneys are proving popular I’m going to try & make another version of the Keralan Chutney. Pears are now coming into season so they will be the main fruit & alongside will be: celeriac coconut horseradish spring onions fresh coriander limes ginger & green chillis. 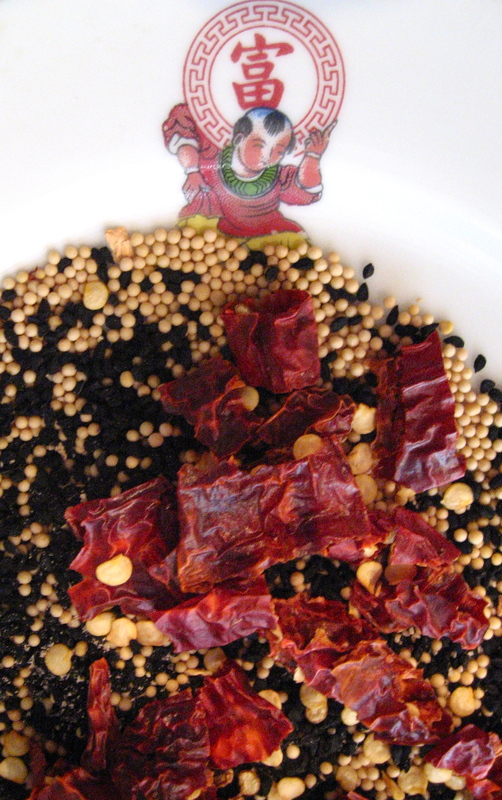 The dried ingedients will be: gold mustard seeds, kashmiri chillis, tellicherry pepper, onion seeds & lime leaves. During the long cooking time the horseradish begins to lose it’s flavour and even though I bought it fresh, it wasn’t eye-wateringly hard to prep which probably means that it had been stored? On the other hand perhaps some ingredients can be added at a much later stage and thereby retain their flavour. 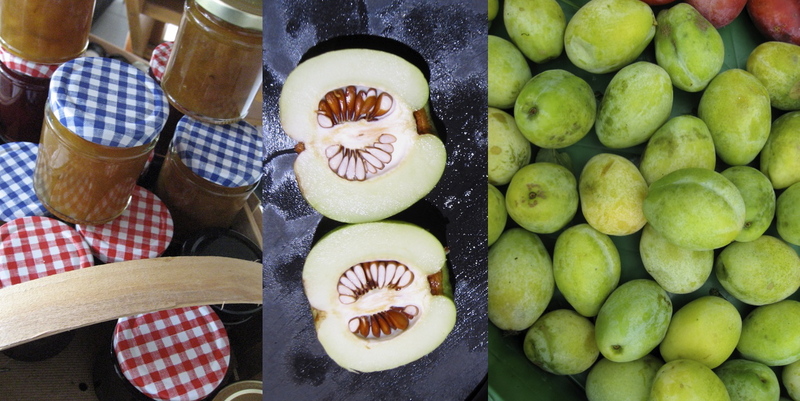 The pear and the celeriac are also being put to the test and when the chutney is finally cooked, together they have produced a kind of buttery caramel taste. It’s sweetness makes me think of Southern Indian vegetarian food and the long pancakes, Dosas, stuffed with vegetables and the accompanying relishes. Perhaps this is more relish than chutney, it certainly is a very delicate taste which could go very well with gougons of fish for example. The supermarket ones are very unreliable, in that they can be dry and not have enough fish in them- so-oh no I’d better try and make some. 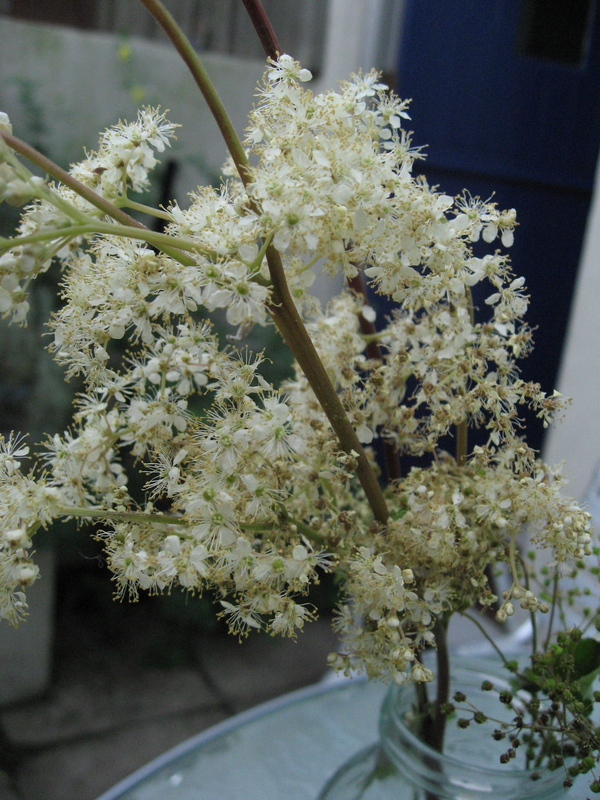 As I am in squirrel mode I make an infusion of the meadowsweet, steep it overnight and then freeze it the next day. The almond flavour is slightly bitter, not in an unpleasant way, it will be interesting to see what it might go with. Over to Whatley to see if there are any apricots, mulberries, apples or medlars which I picked last year and made into wonderful jams. The expression on Silas’ face says it all really wot no fruit, I don’t adam & eve it ! At least there are some medlars. 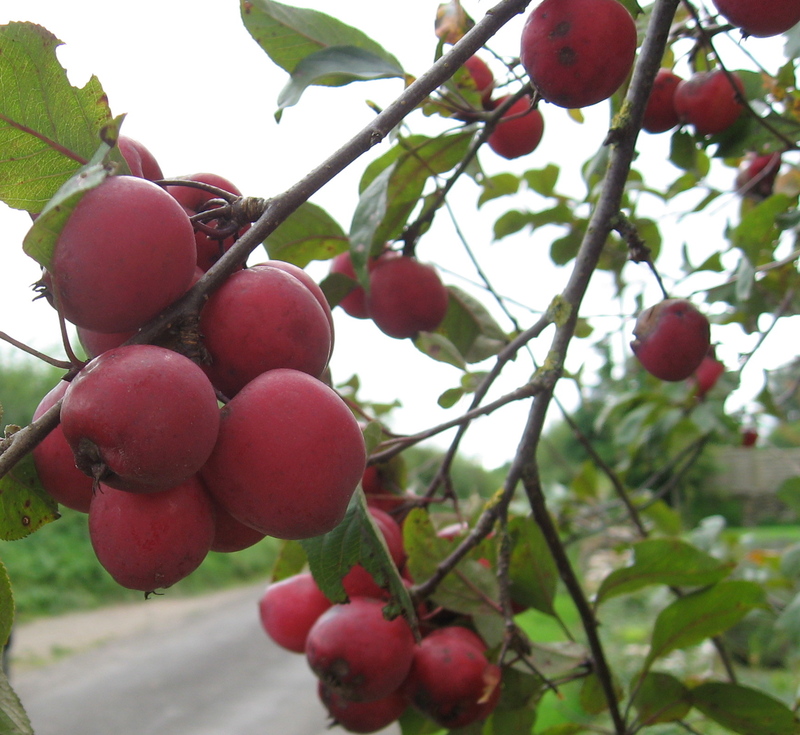 Another very kind Fromer has said that I can go and pick their Crab apple tree so that’s next on the list as is picking: rosehips & hawthorn berries & black & elderberries. It’s now early October and to-day the sun is shining like it’s summer. The rosehips and hawthorn & black berries are ripening in the sun and I even see a few sloes. 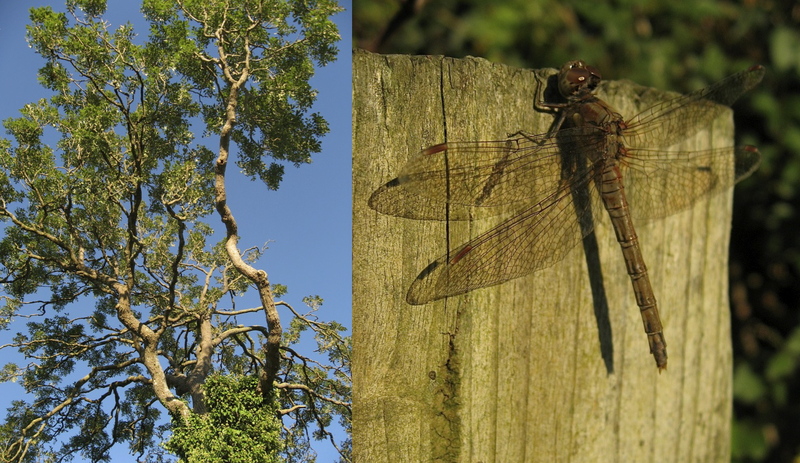 My pace is relaxed in the warmth and I come across a dragonfly sunbathing on a post-I later find out from Chris Brooks that it is a female Common Darter. Back at home I start planning what to do with the bounty. I gently poach the elder & black berries & sloes in some red wine and star anise. 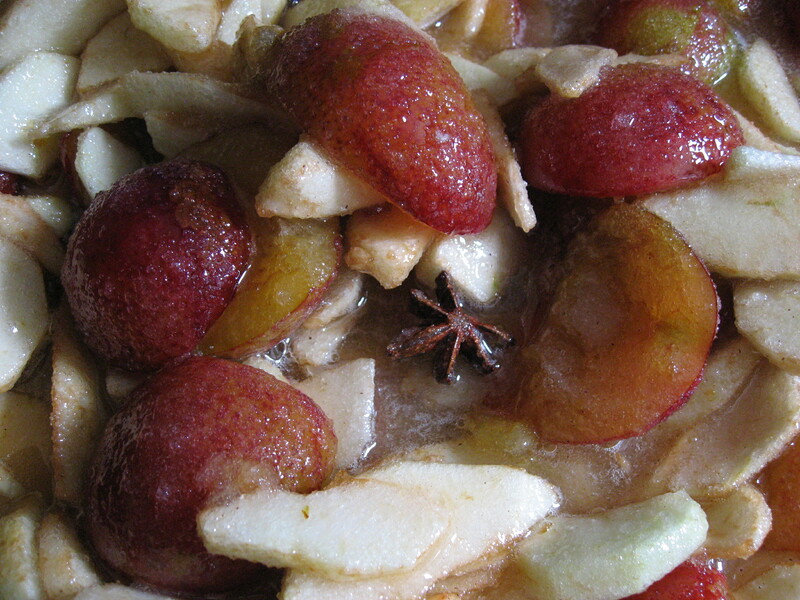 The plan is to add this at some point to some pears and make into a jam- in the mean time I freeze it. 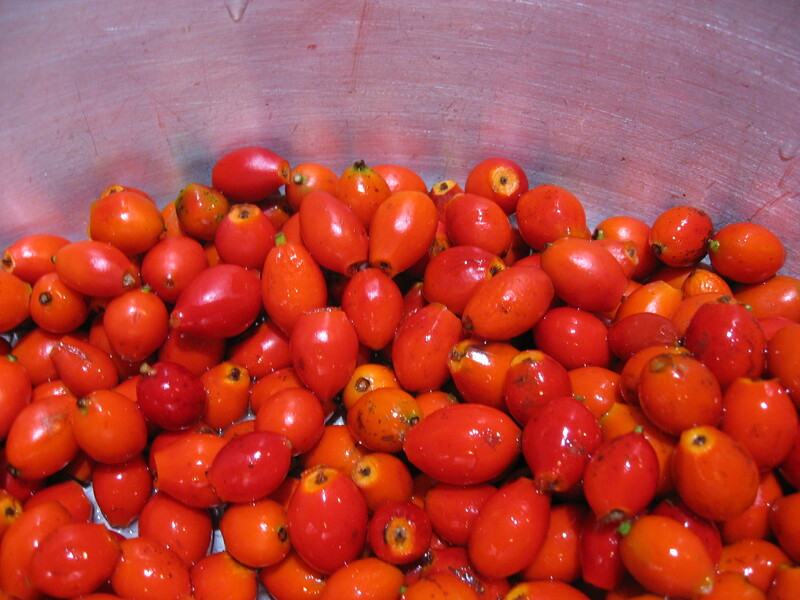 Last year I followed Denis Cotter’s recipe for Rosehip Cordial but this year I want to try and make a fruit cheese. It is a bit of a gamble as gathering rosehips is time-consuming and it’s hard not to get away with not being scratched by their many thorns. I also really like having them in the kitchen as they are very beautiful to look at, so I have to make sure that they don’t go over. At first I poach them gently but after an hour & topping up the water and then another hour & topping up the water I realise we’re in for the long haul. It takes something like 3 to 4 hours before they are soft and when I put them through a sieve there’s so little pulp I want to cry. Even though I’ve cooked them very gently they taste like they’ve had most of their flavour boiled out of them- I add some sugar and gently they are coming back to life but as a tiny blip on a saucer not a mound of the rosy amber loveliness I had anticipated. 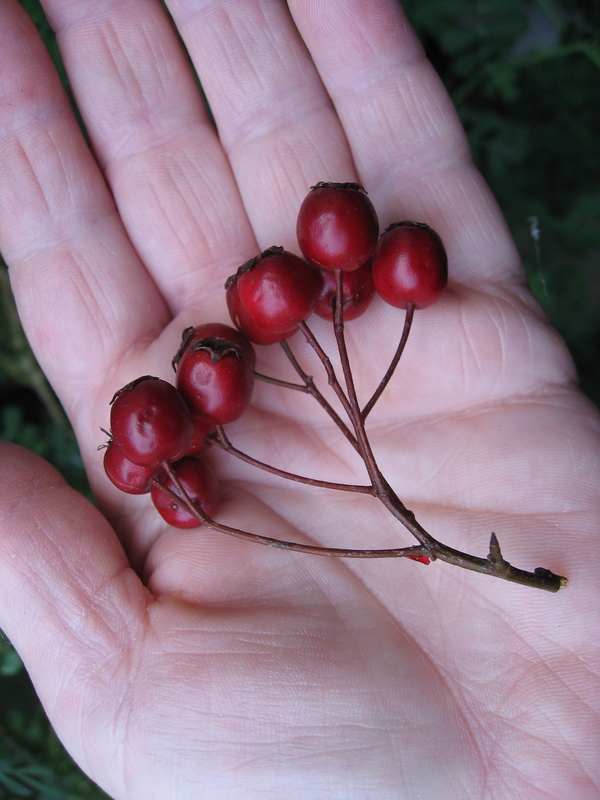 Next is another experiment; I’ve never used hawthorn berries but I’m going to see what they are like. I feel a little optimistic as the sun seems to have ripenend them and I have have been picking from the sunnyside of the hedge. Again I poach them gently and they cook quite quickly and I put them in a jelly bag overnight. In the morning I put them through a sieve and the taste and texture is something like chesnuts. The only way I can anticipate using them is a filler for fruit cheese, I’m not convinced. 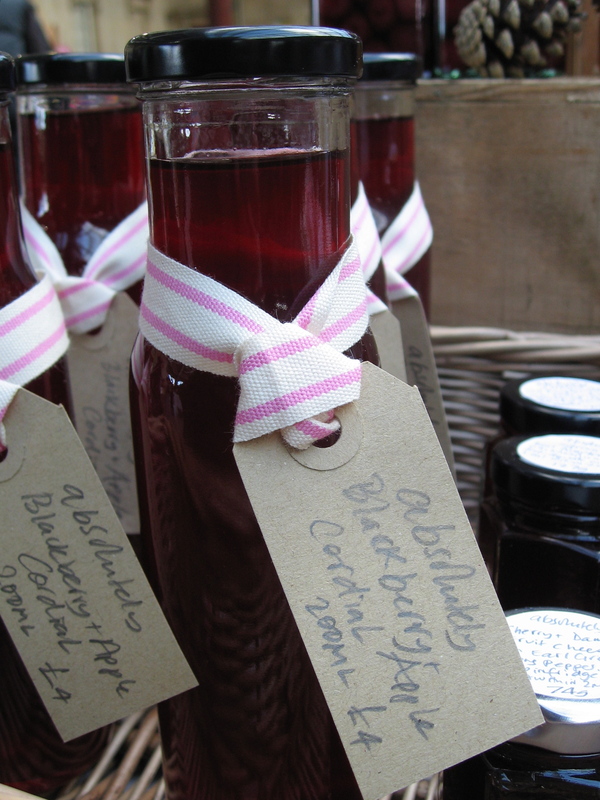 Much more successful is an apple and blackberry cordial which I’ve adapted from a Pam Corbin recipe for elderflower cordial, it’s easy to make & delicious. I go to Milly Moon in Catherine Hill and buy ribbon & now they are ready for the first ever Bath Artisan Market. It’s a cold and very bright day and it’s very nice to be under cover at Green Park Station. As always it takes me ages to set up, there are so many components: samples, little dishes, spoons, display boxes, props, price list, bags, flowers- so I am always scurrying around squirrel like setting it all up. 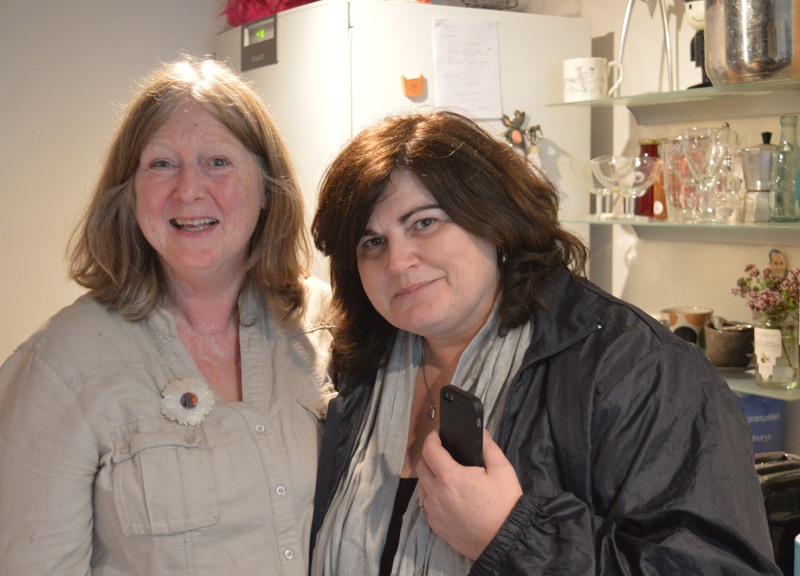 Customers are friendly and are interested in hearing about Bath’s newest market. 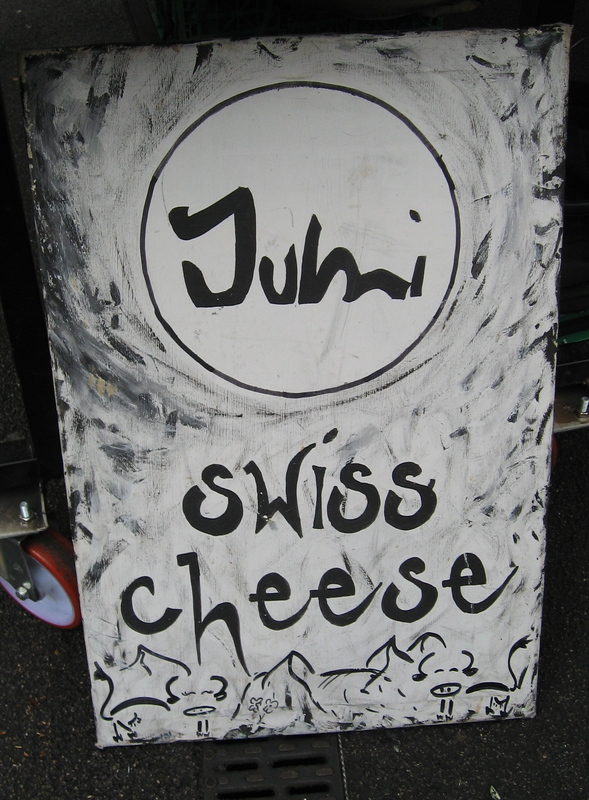 Japanese and Chinese students want to know everything; what is Brunswick & Uruwela & Pinecone? What is a plum? oh dear plums, the mind boggles- next time I must bring some images on my camera and the pamphlet on Ceylon teas. The teas are infused in some of the jellies and jams. My neighbour, James Gilliam, imports and sells teas. And as he talks about his visits to India and walking there it makes me think about the book I’m reading, Mountains of the Mind by Robert Macfarlane. I mention the book and James tells me that he went to a talk at Topping booksellers by Macfarlane only this week in Bath- oh no. It’s great to be talking about India and treking and mountains and the history of landscape and geology. Only very briefly of course, as there are customers to serve and samples to reknew and bread to be torn. The chutneys are going well and I am inordinately proud of the fact I now have four chutneys for sale -from zero to quattro- in just a few months. Meet the lovely folks, John Juliet and Emily from John Arbon Textiles in North Devon they’d just been to the Chutfest at Barrington Court and were telling me what an extraordinary event it is- so maybe next year. Emily buys a range of jams and chutneys for her new home/kitchen. A fortnight later, I’m off to London to Borough Market and to also see Lindsay Seers‘ current video installation, nowhere less now, in a tin tabernacle in Kentish town. 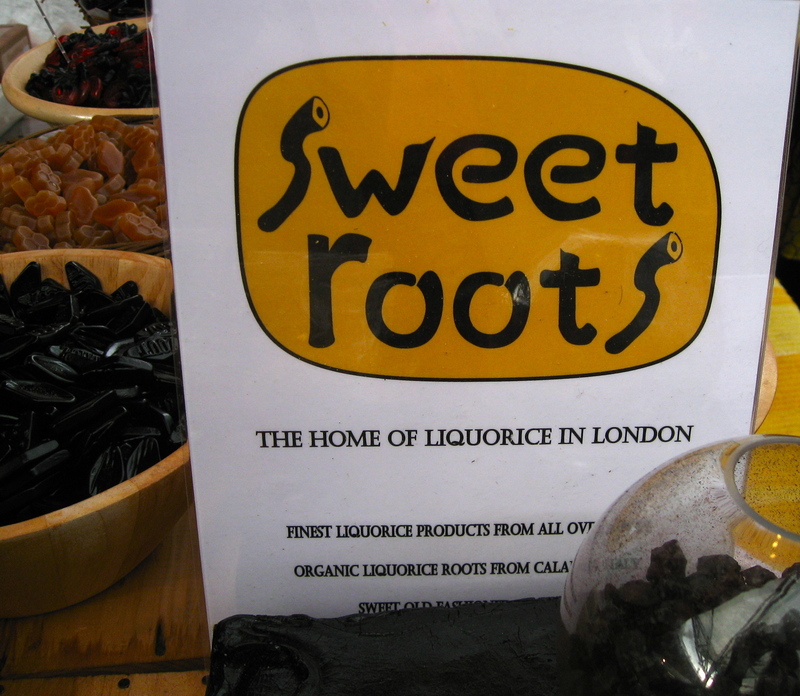 The visit to Borough is to buy licorice from Sweet Roots and to generally look around for interesting ingredients and ideas for preserves. I’m also scouting around for some ingredients in order to make a couple of recipes from two new cookery books : Indian Family Cookbook by Simon Daley with Roshan Hirami and Burma by Naomi Duguid. I chose these books from a whole pile brought to the inaugral meeting of the Cookery Book Club in Bath by the writer & teacher of Italian cookery and founder of the Foodie Bugle Silvana de Soissons. We meet in the Society Cafe which has delicious coffee/herb teas /sandwiches and cakes & macaroons– oh my. But more of that later. 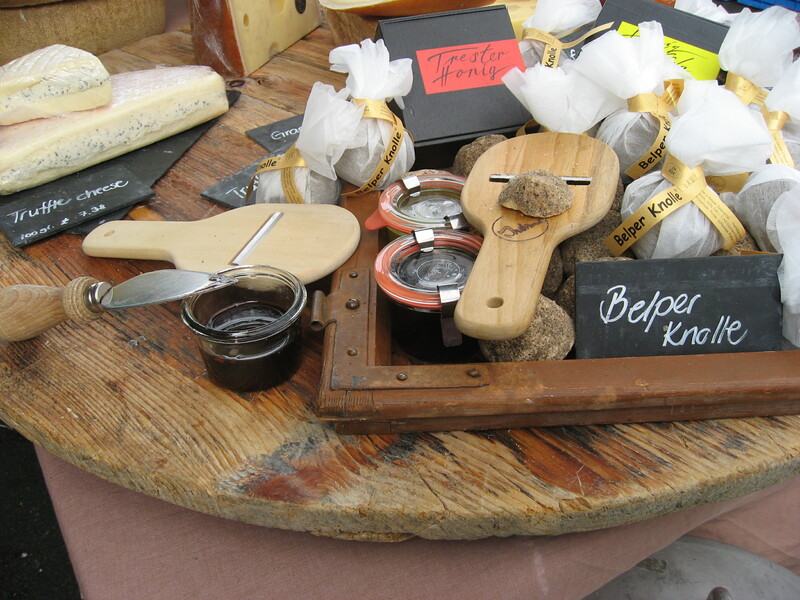 Buy some licorice sticks which are brought over from Calabria & some sweets to take home. 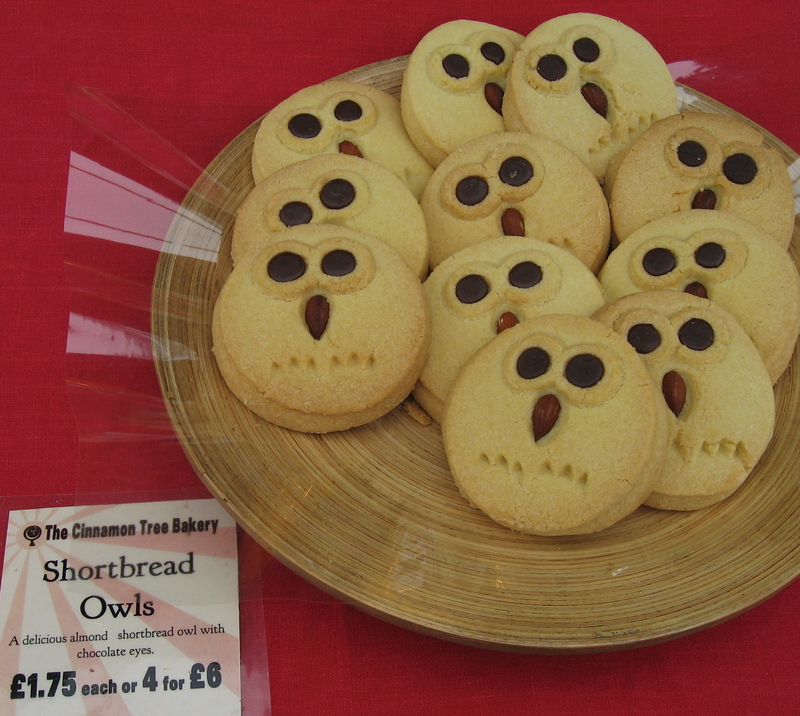 Next, to Cinnamon Tree Bakery to buy a couple of their delicious biscuits. 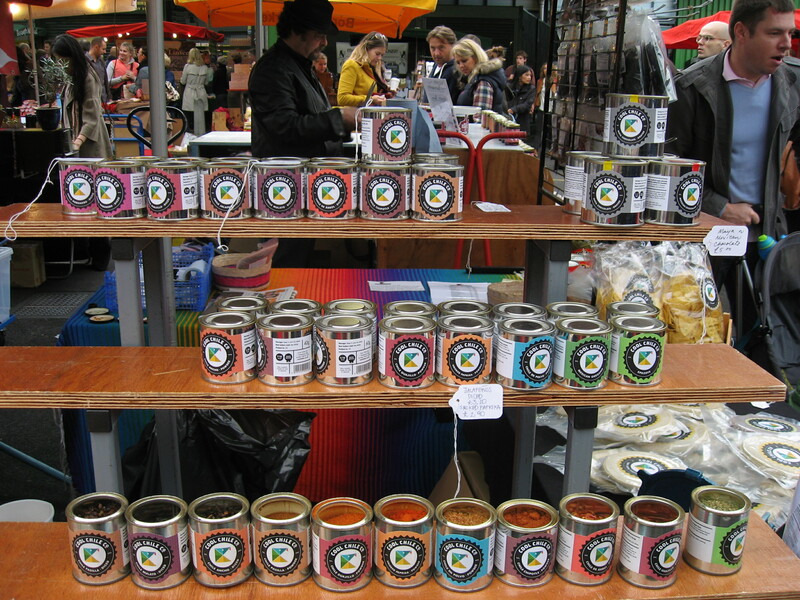 Then very nearby are Mexican herbs, spices and peppers at the Cool Chile Co where I buy chile ancho and the most delicious Tomatillo Salsa- they have some Tomatillos on the stall. Nearby I find Spice Mountain and they have the turmeric root I need to make Lemon Salt Pickle. I also find a small pot of Burmese Curry powder which will come in handy I hope when I try one of the recipes from the cookbook Burma. Things seem to be coming together quite seamlessly- well until I can’t find my favourite Italian cheese stall. Mamma Mia you think it’s only supermarkets who are always changing things around. In the end I have to ask someone & they very kindly take me to where the stall has been relocated. There I am reunited with the man, Marco Vineis who knows more about Italian cheese and especially Pecorino than is possible to know- he knows the farmers, the methods they use, all the regions, all the specialities. Mamma mia it’s amazing-we taste a pecorino which is from the Northeast of Italy- it has the classical buttery taste but it also has an underlying stronger flavour- which writing this up over a week later I can’t honestly describe- I’d need to taste it again. Oh Yes. I buy some to bring home and then lo & behold find a fantastic bread stall- the Flour Station. I’m drawn not just by the sight of mountains of artisan bread, in all shapes & sizes but by the descriptions Calabrese a mild, almost cakey loaf from Calabria with a touch of semolina. Words: they really are such powerful things, the way they draw you in. I remember taking my Mum to Calabria on holiday & I really miss her Italian-ness. 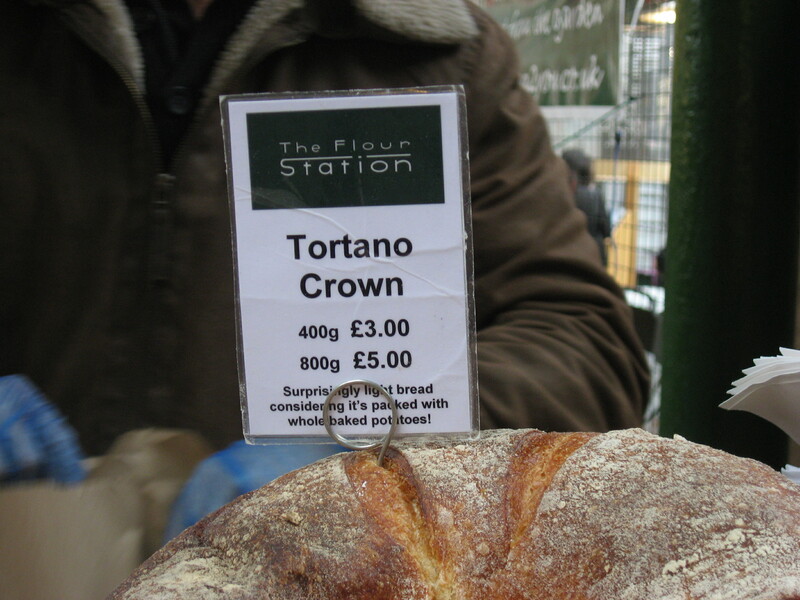 I end up buying a small Tortano Crown as well. There’s one more stall to find then I must leave-Tumi nearly always has a crowd around it-and I find that really interesting the way some stalls attract customers. 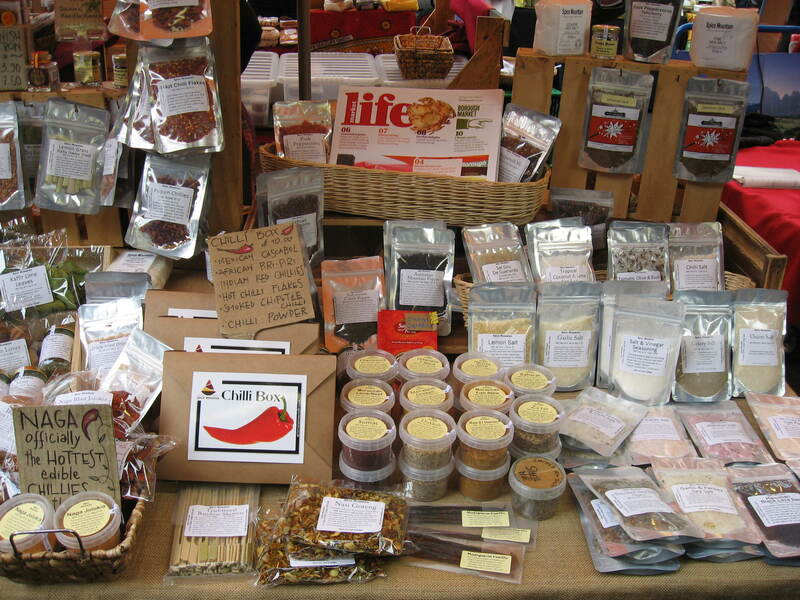 The stall is stand alone and easy to approach & the the produce always looks interesting. I ask to try a grape jelly which accompanies cheese and it’s delicious-being rich & fruity & sweet. I want to recreate it at home but think that the choice of grapes might be critical. I buy a cheese called cirone which is rich & buttery but strong and its flavour is long lasting. Back in Somerset I’m looking forward to an event organised by the Great Bath Feast- a month of all things foodie: tastings/talks/demonstrations, given in and around Bath. 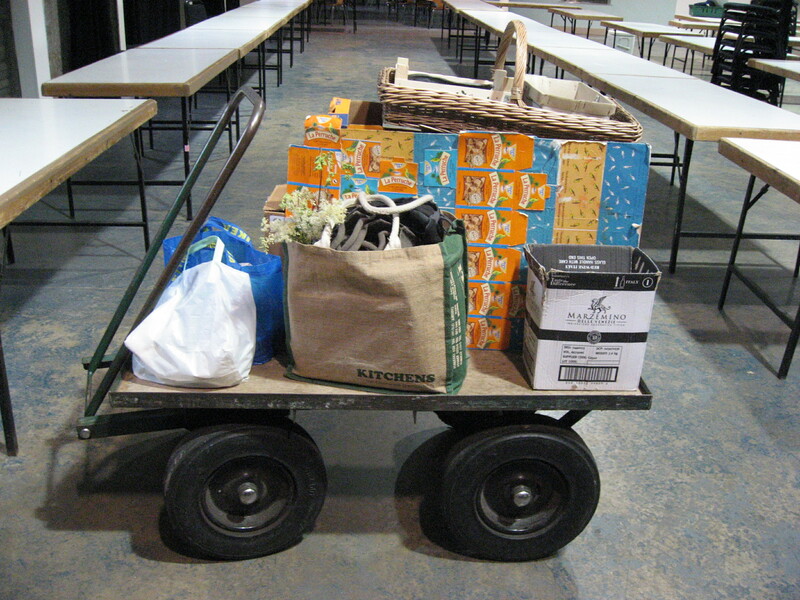 Well– this one begins in Bristol at the Fruit & Vegetable Market at 6am and has been organised by Chris Staines head chef at the Abbey Hotel in Bath. We meet Chris at The French Garden a wholesalers who supply the Abbey hotel’s restaurant, The Allium Brasserie and are given a tour of the market by the erudite Charlie Hicks, one of the owners of the French Garden. I’m all agog & gaze longingly at small turnips & cabbages one minute- you I could pickle and ferment- and tasting Persimmons the next- you I could make into a fragrant jam. Our tour concludes at the French Garden where we are shown Chinese chesnuts, English apples, French quince and passion fruit from Vietnam. We taste the latter, wow it’s like an amalgam of mango, orange and apricot with the sharpness of japonica. I bring a couple of boxes back with me as I think they could be a really interesting addition to curd & marmalade. 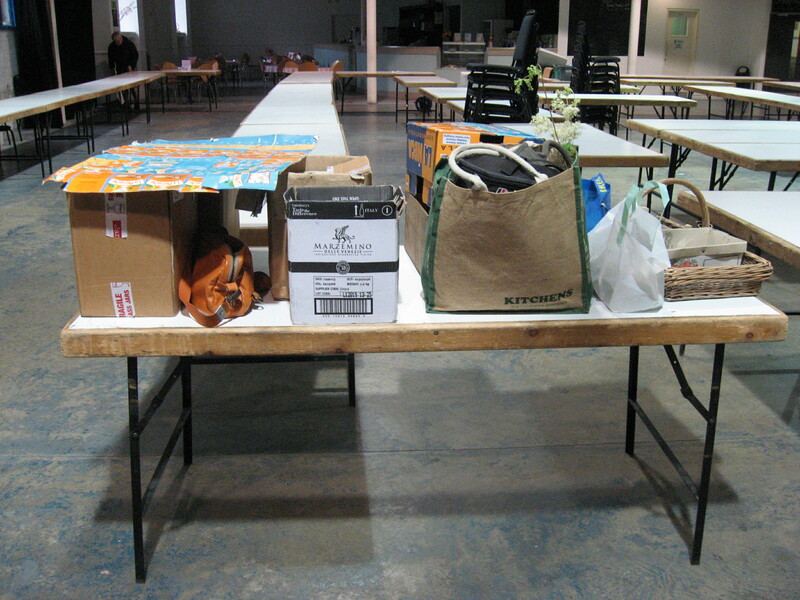 As we say goodbye we are given a big goody bag full of fruit and vegetables by Charlie Hicks which is very generous. We then drive back to Bath and have a delicious breakfast at the Allium Brasserie, a really relaxing end to a very busy morning and it’s only 10am. On the way home in a tired but yes over excited state I see a blue cow in a field. What next? Quince with Licorice & Yellow Chiili * Quince Jelly with Passion Fruit * & from the cookery books Lemon Salt Pickle & Tamarind Squash Curry, better get back into the kitchen smartish. Arrivederci. 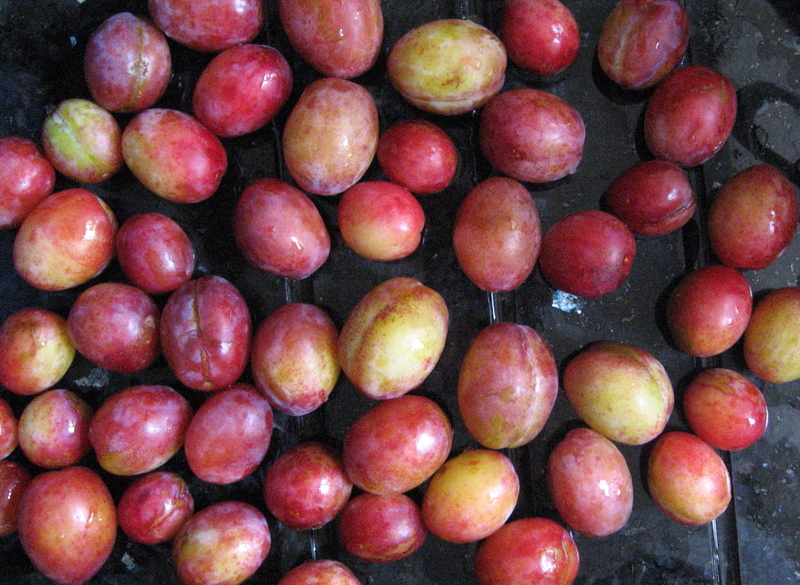 After I had bottled 9 kg of the plums I then decided to dry some plums. This is a relatively easy and quick, especially if you have a dehydrator, way of preserving in that the plums are cut in half, the stones taken out and then laid out in trays and straight into the dehydrator. No plum sitting & you can get on with other jobs. Last time this year I made a Christine Ferber jam which introduced me to the idea of using both fresh and dried fruit in a jam. The recipe was for Alsatian Quetsch Plums with walnuts: I substituted Victorias and I then found fresh walnuts at Kilver Court Farm Shop. The result was an incredibly rich jam- the richness coming from the dried Victorias- rich in flavour and in the depth of colour. The fresh walnuts provided texture and a creaminess which contrasted with the dark richness of the jam. 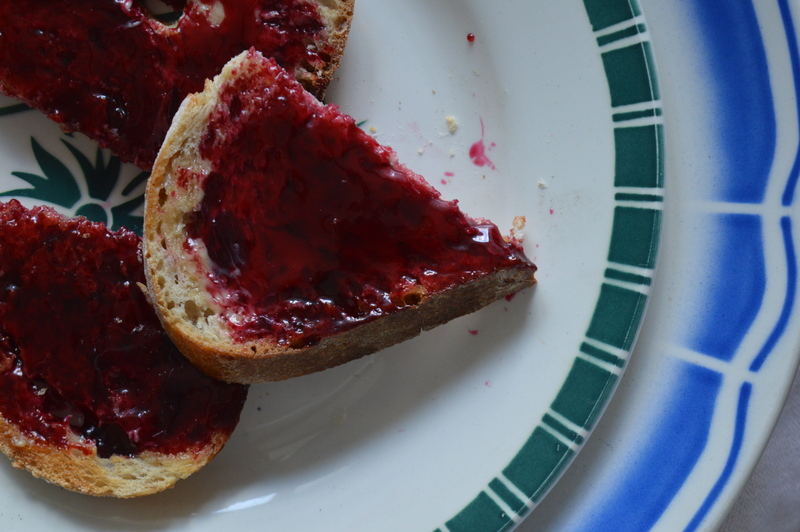 This is a jam which could be used to go equally well with cheese or with scones/ toast. It is quite a dense jam because of the fact it has 2 lots of fruit. Hopefully the walnuts will appear this year and I will make the jam with the Purple Pershores- bottled & dried- if not maybe I’ll try it with hazel or cobnuts. The only problem being that they are expensive to buy. 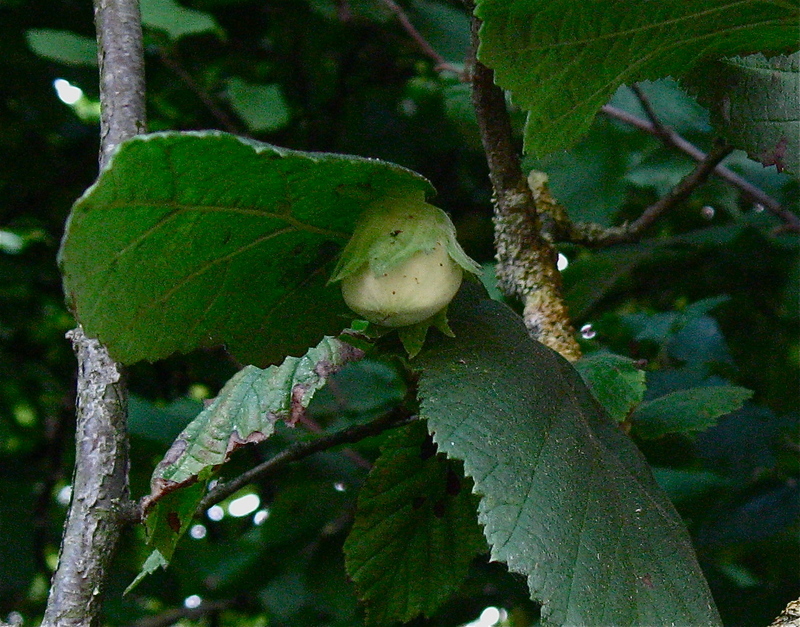 On a recent walk to see what wild fruit is out there: I saw wild hazelnuts but they are quite small and are not very plentiful. Squirrel? There are, however, plenty of elder & blackberries & rosehips and a new growth of nettles which makes me think, maybe I should make some nettle pesto & nettle gnocchi-Dennis Cotter recipe- again. 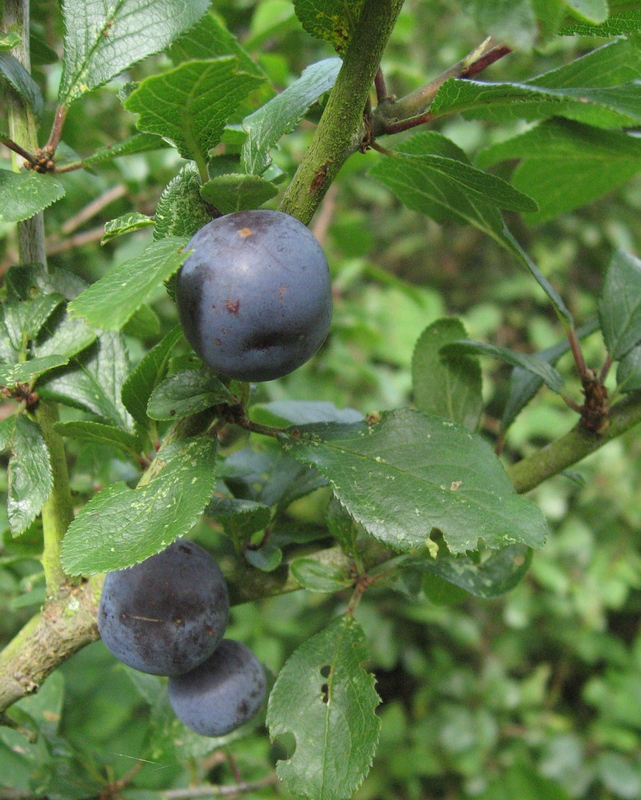 I also looked out for wild apples and they are appearing but are much smaller than last year But the bad news is that there are very very few bullaces.